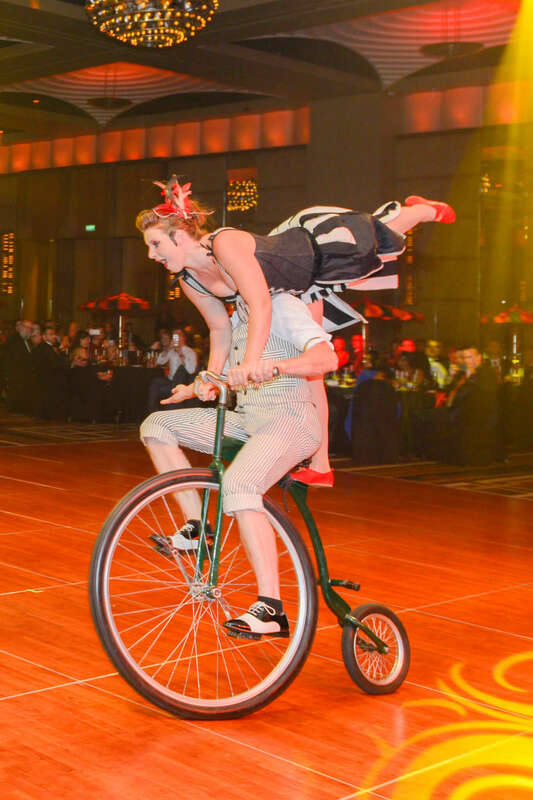 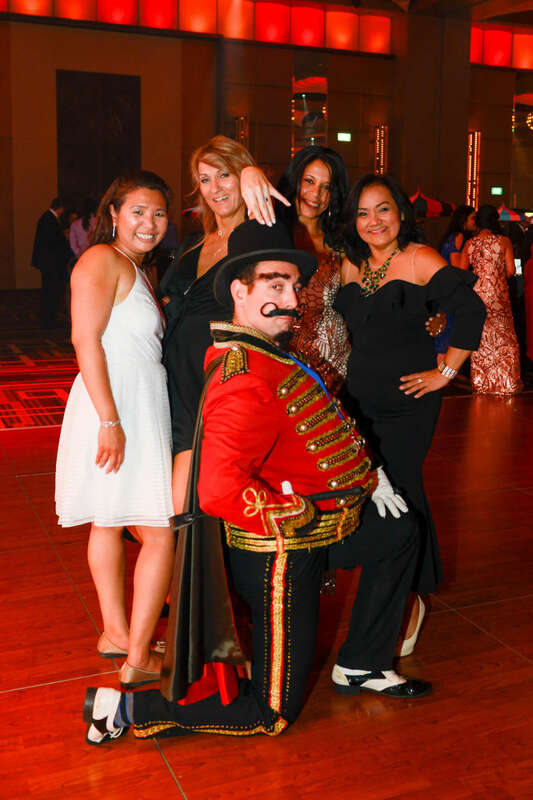 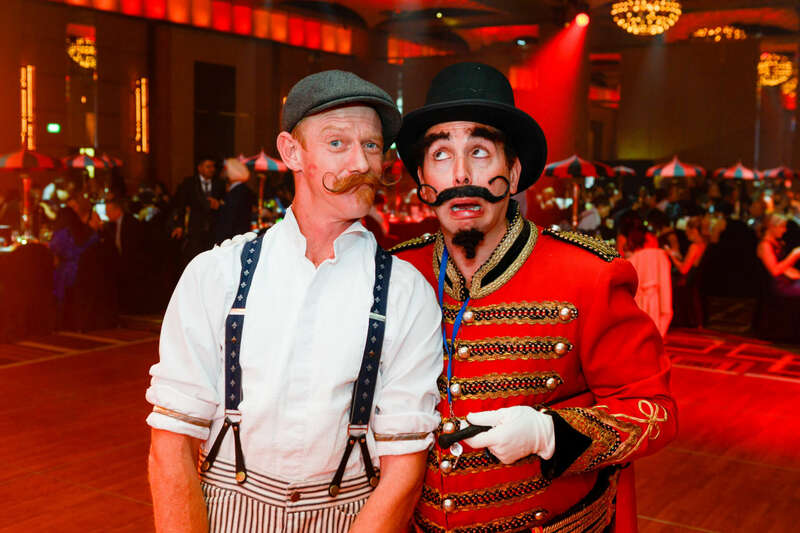 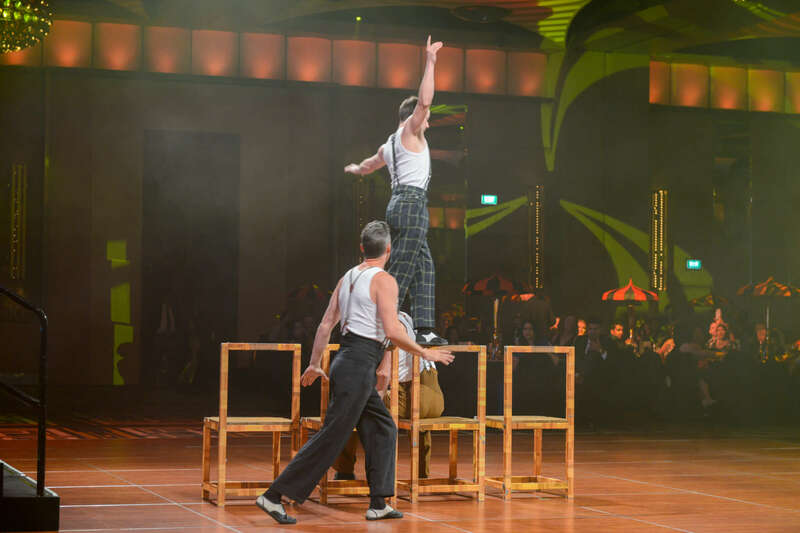 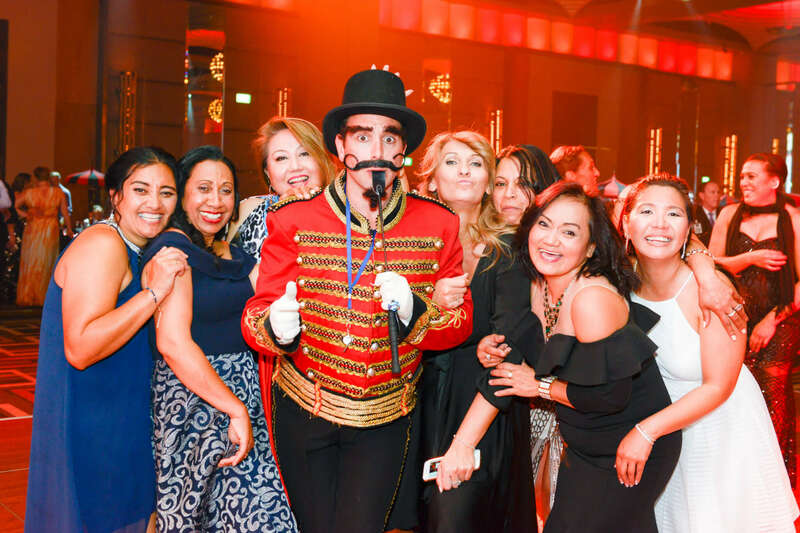 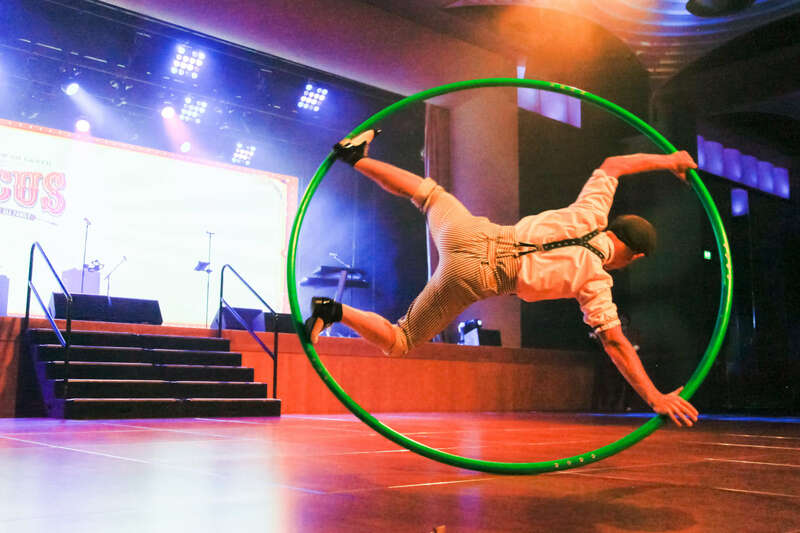 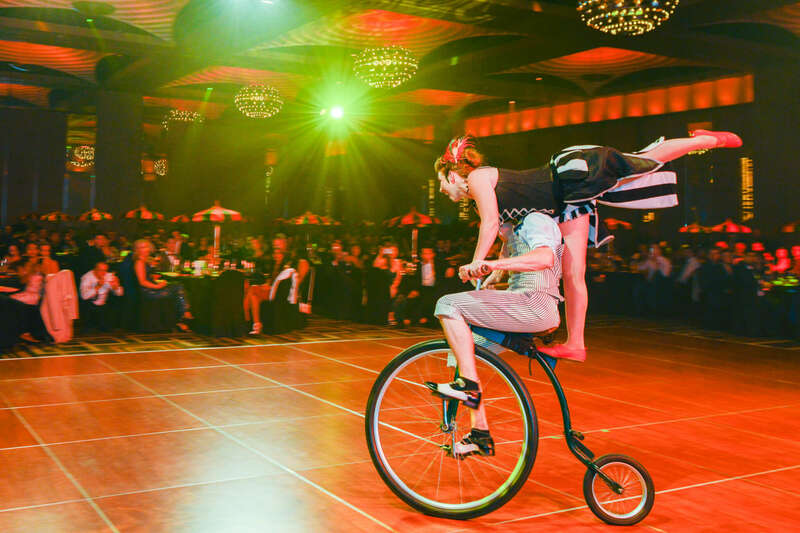 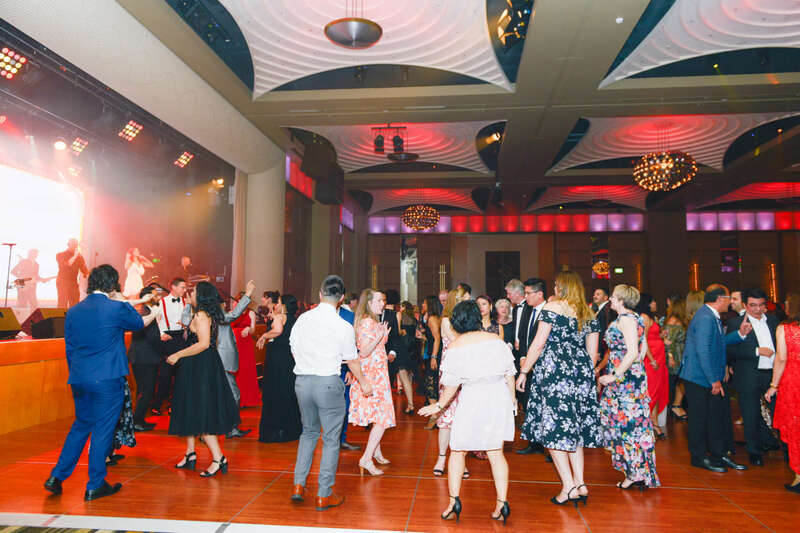 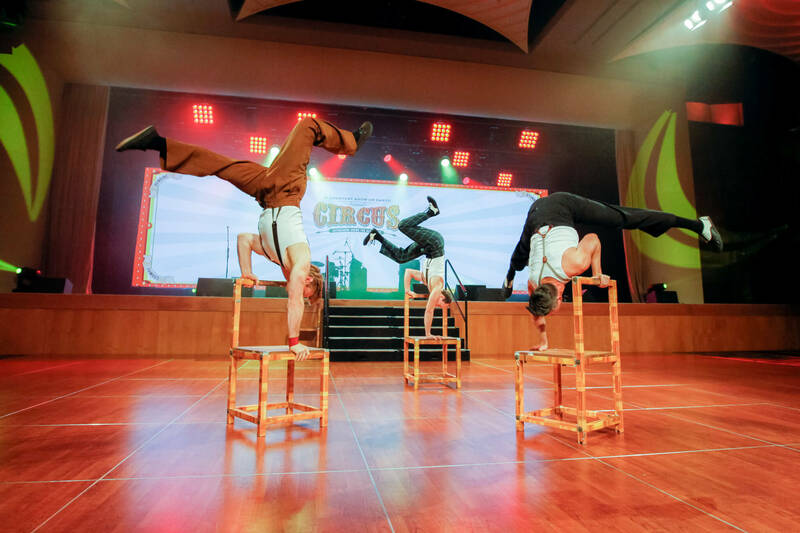 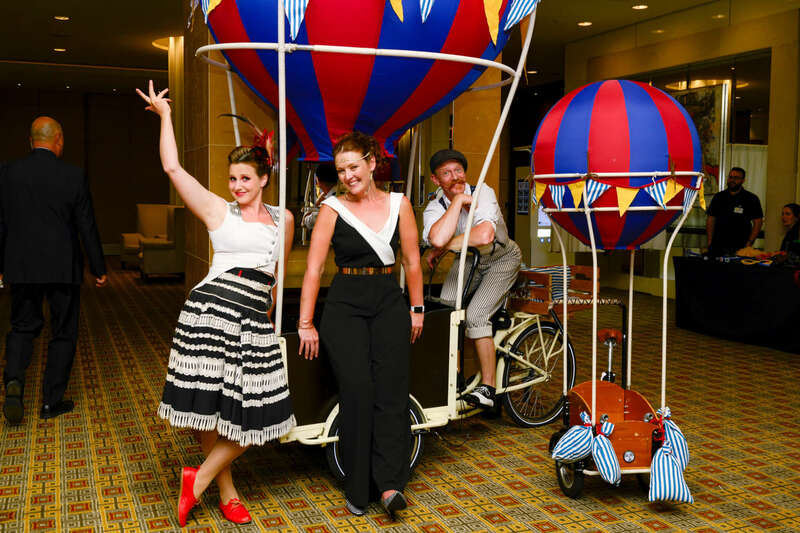 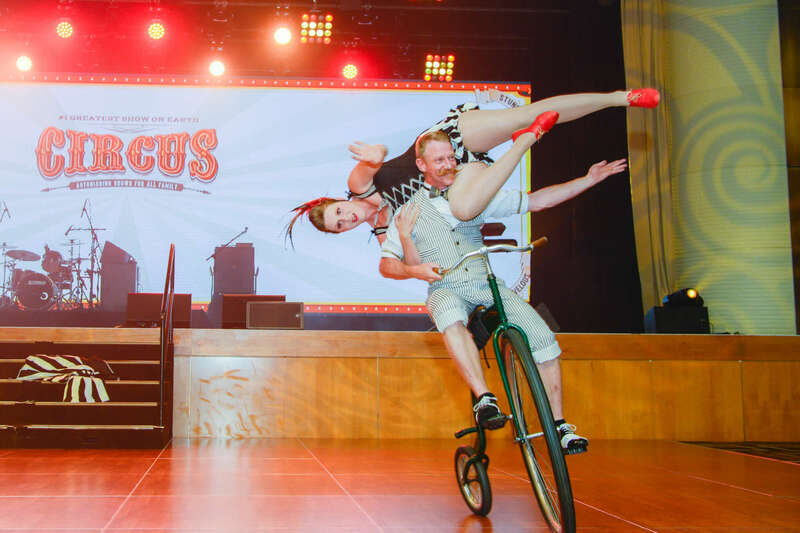 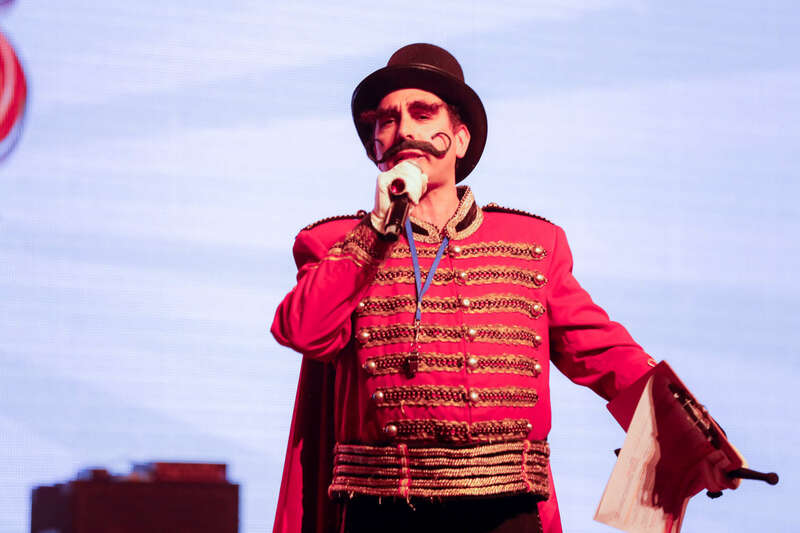 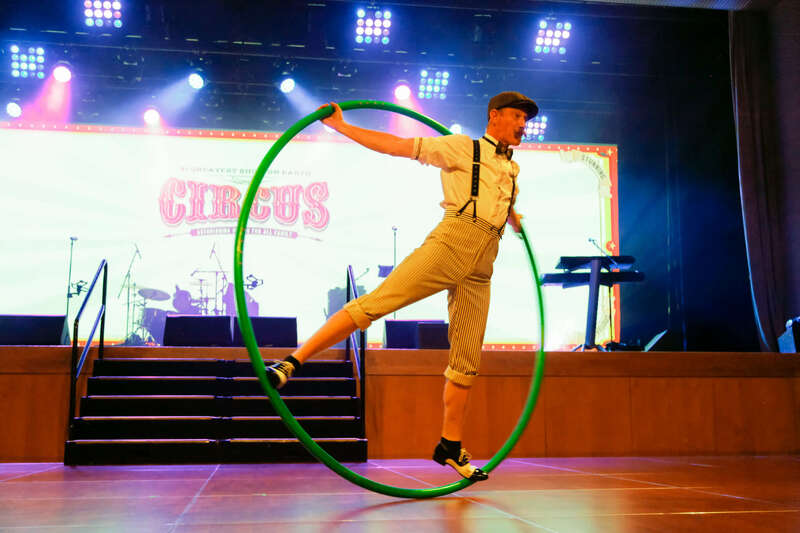 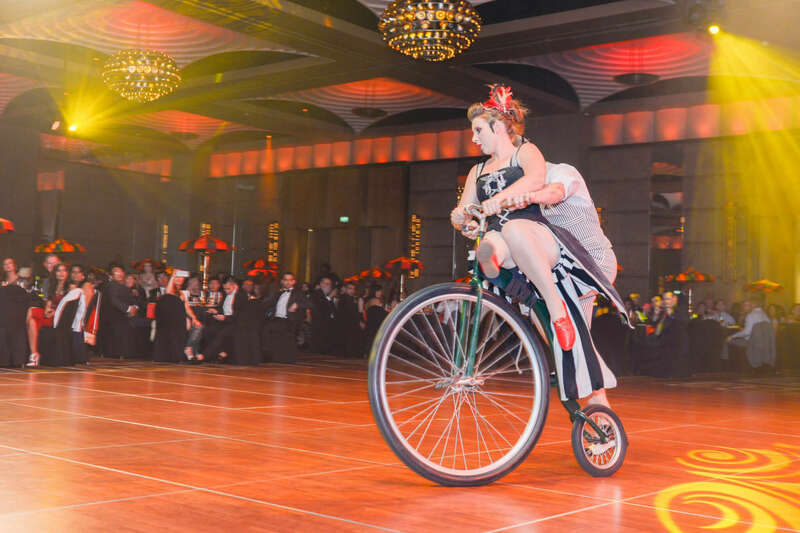 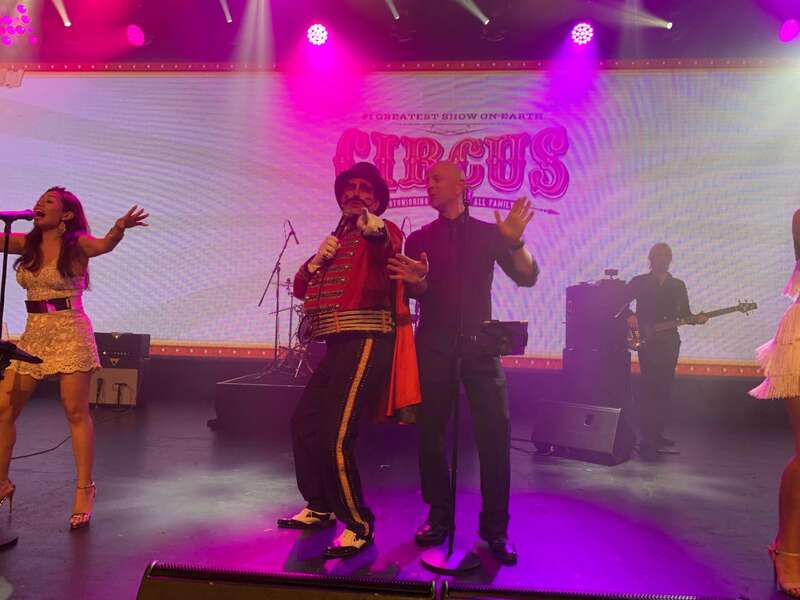 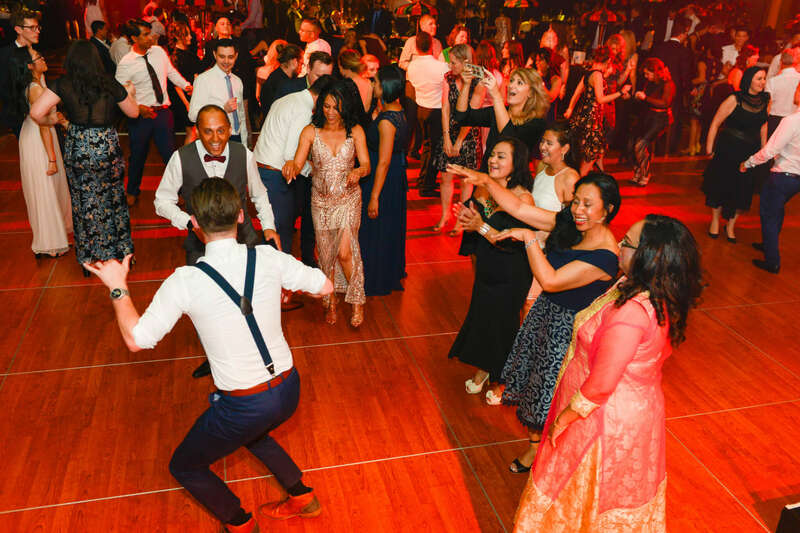 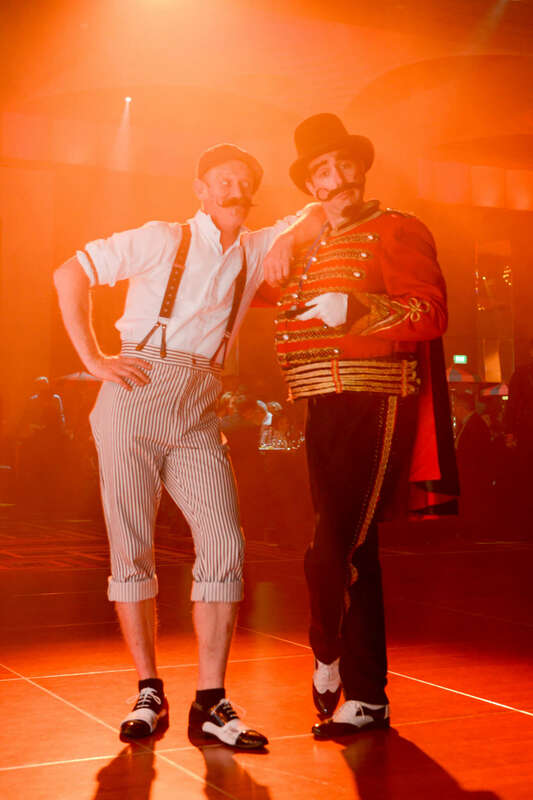 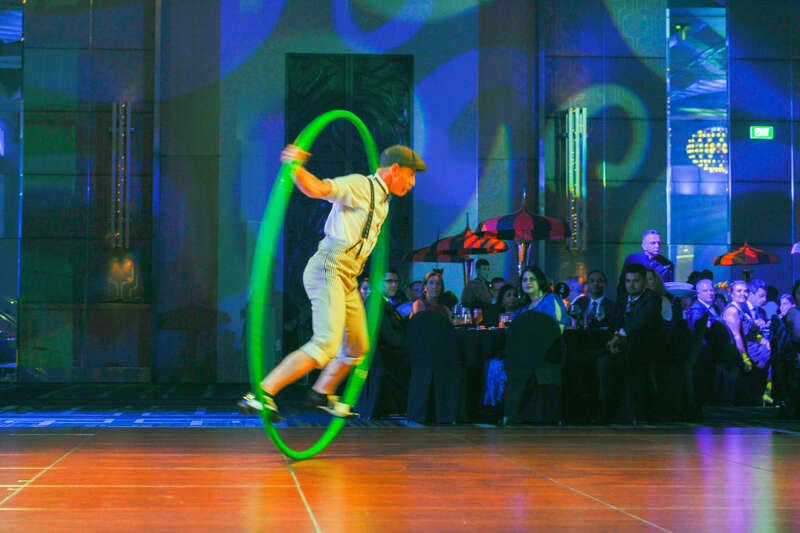 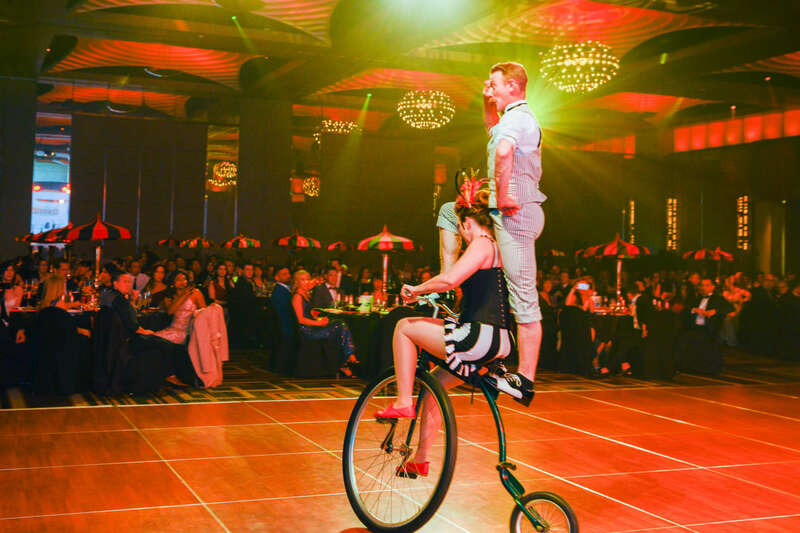 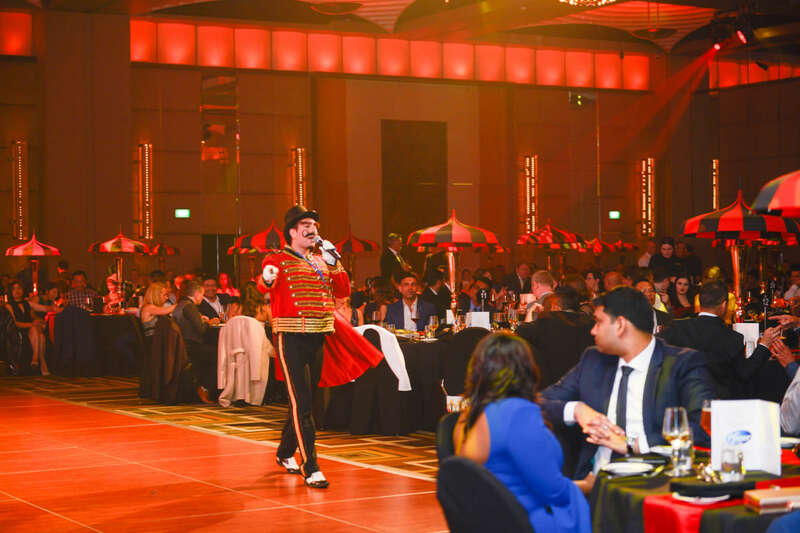 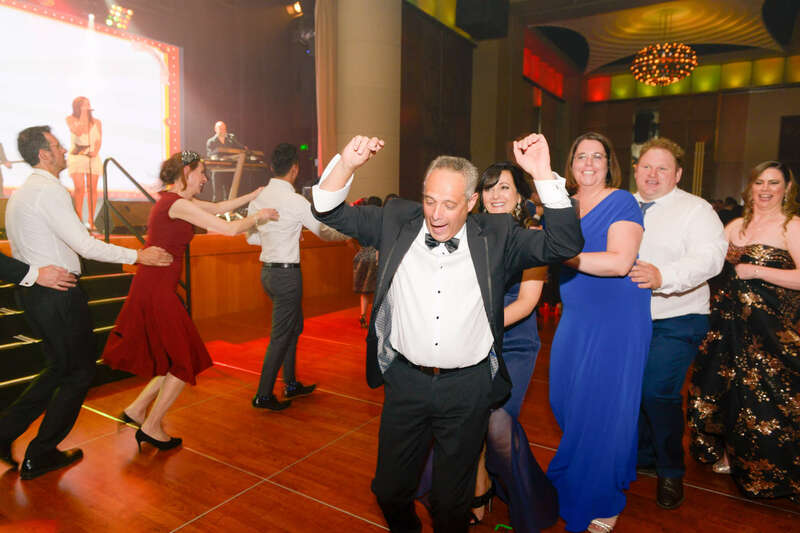 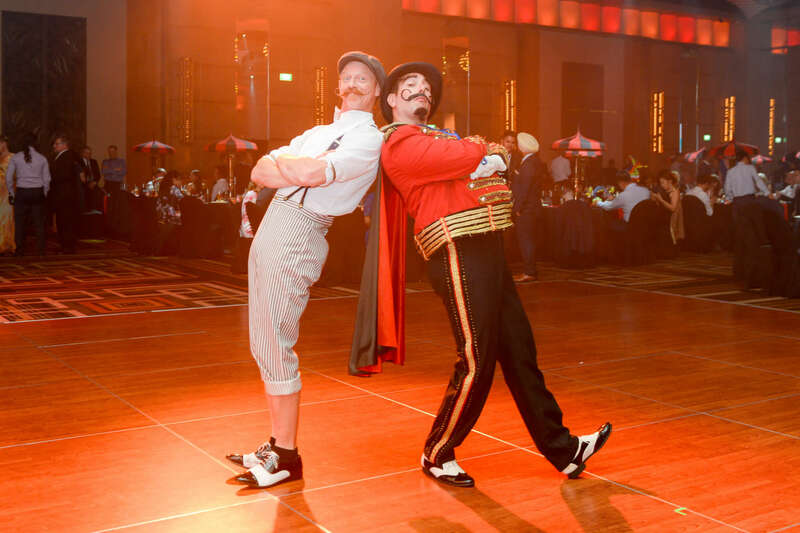 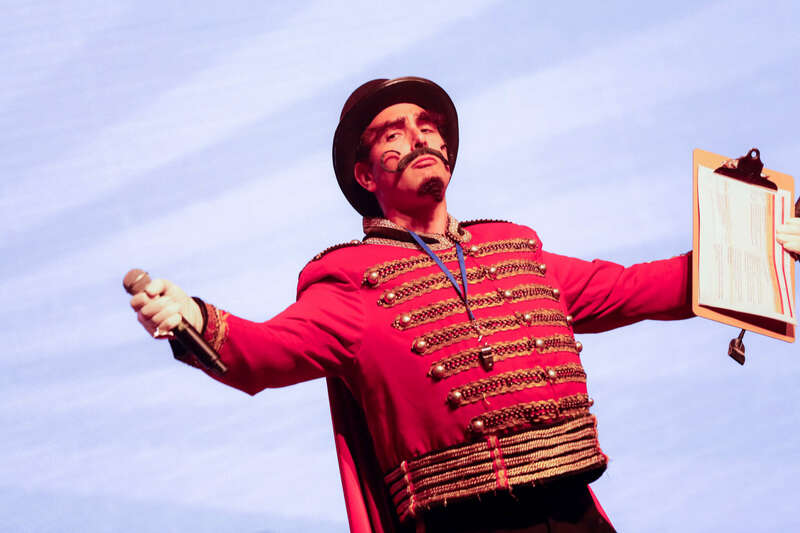 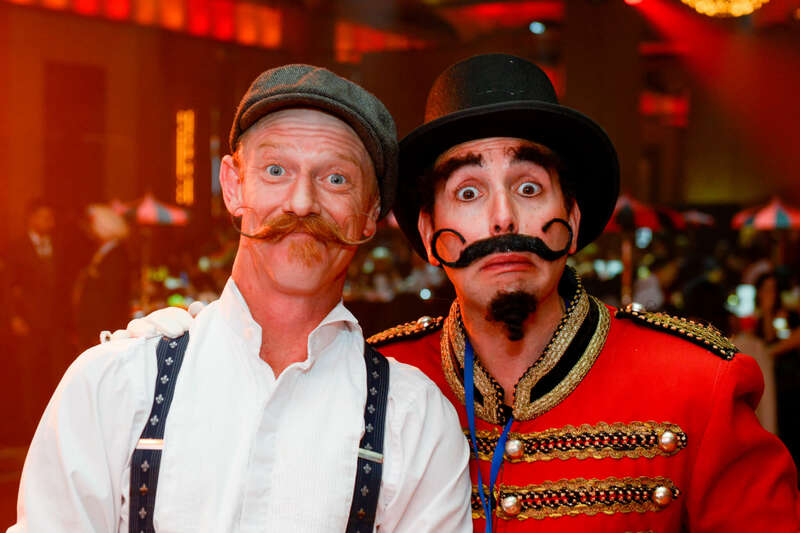 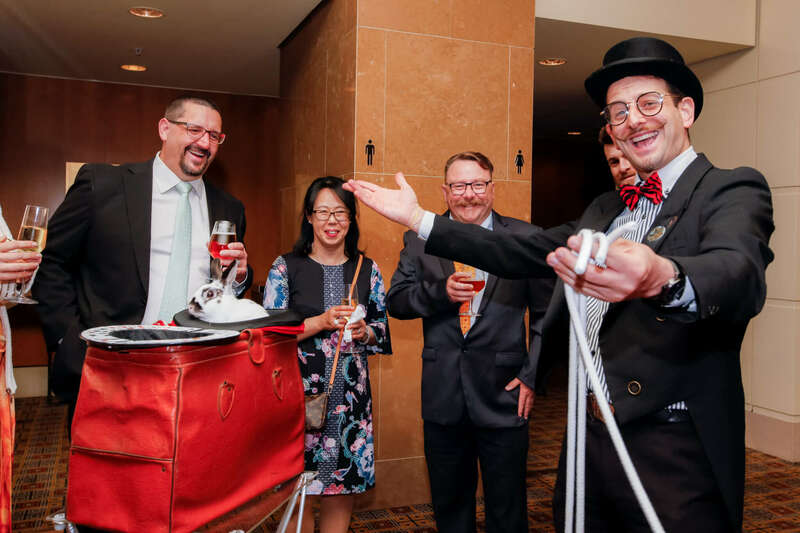 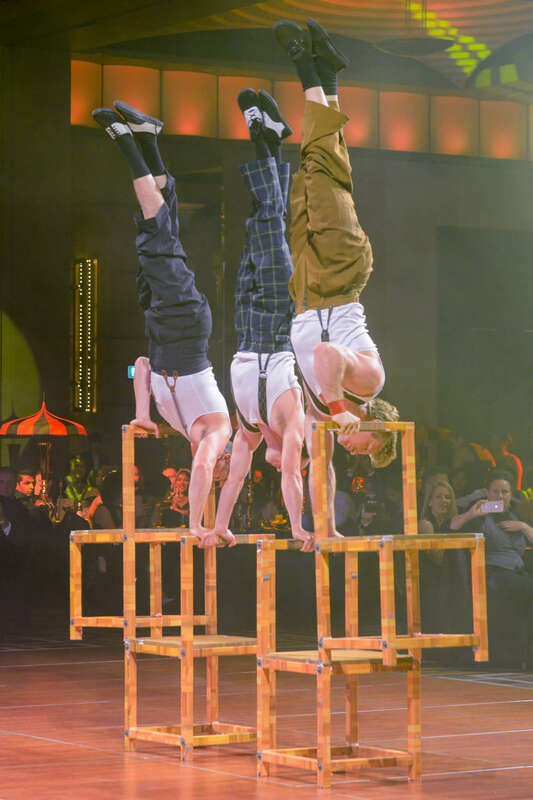 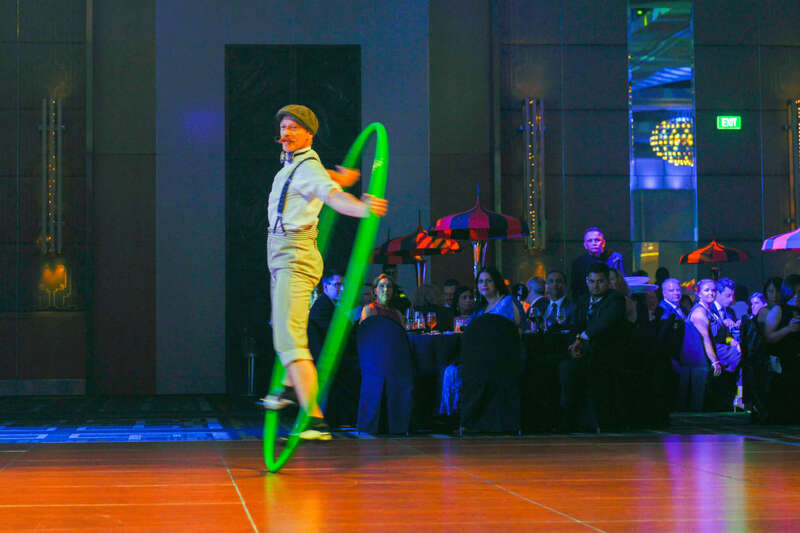 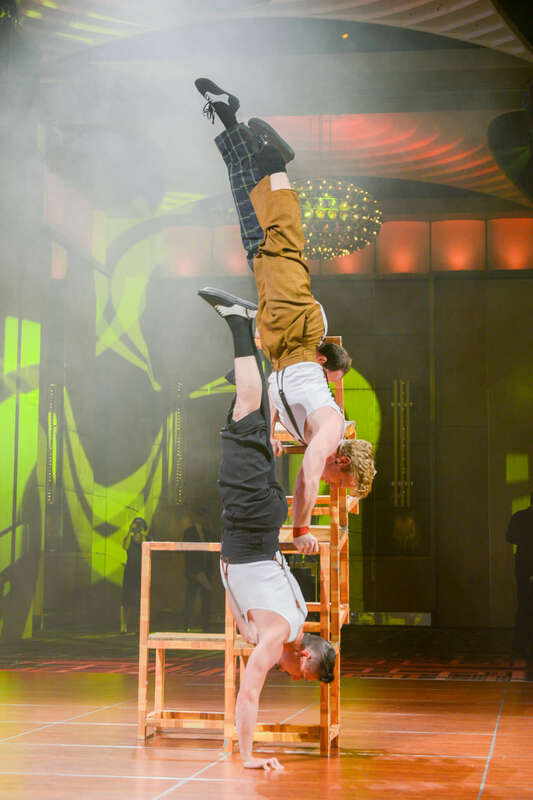 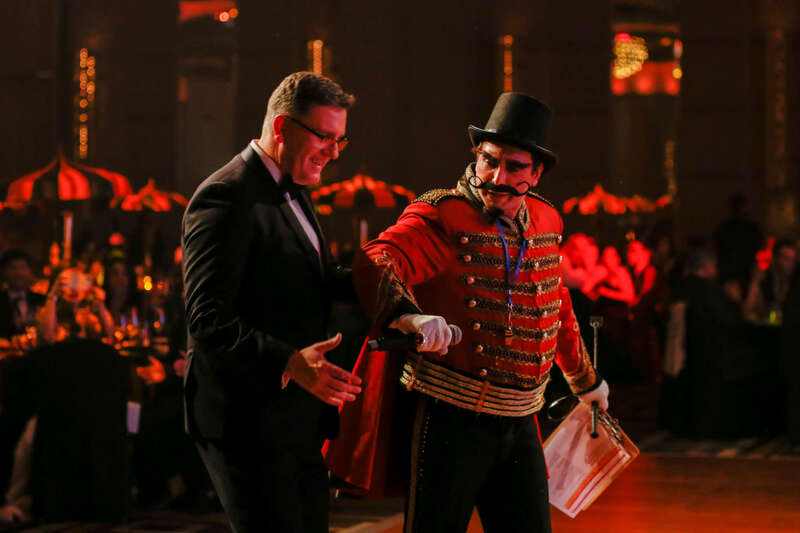 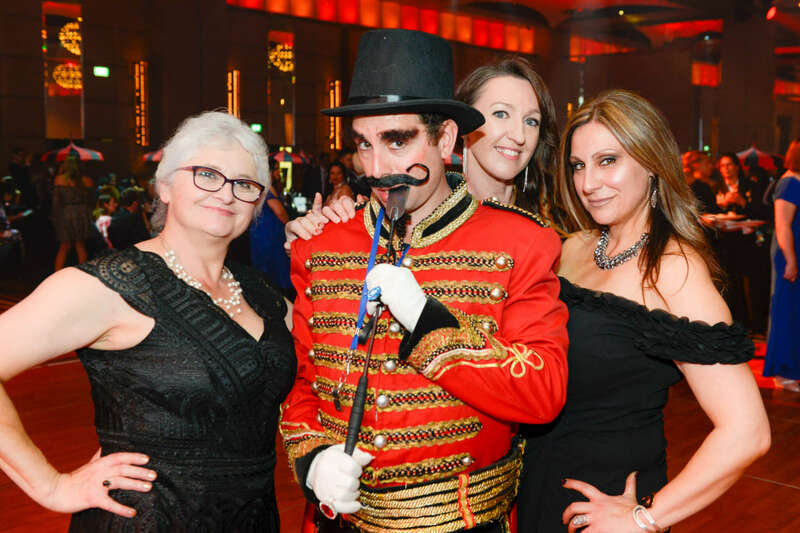 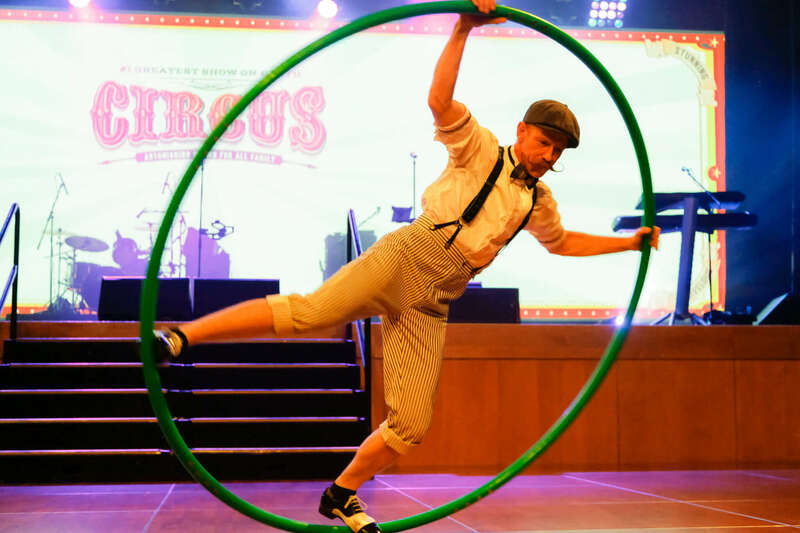 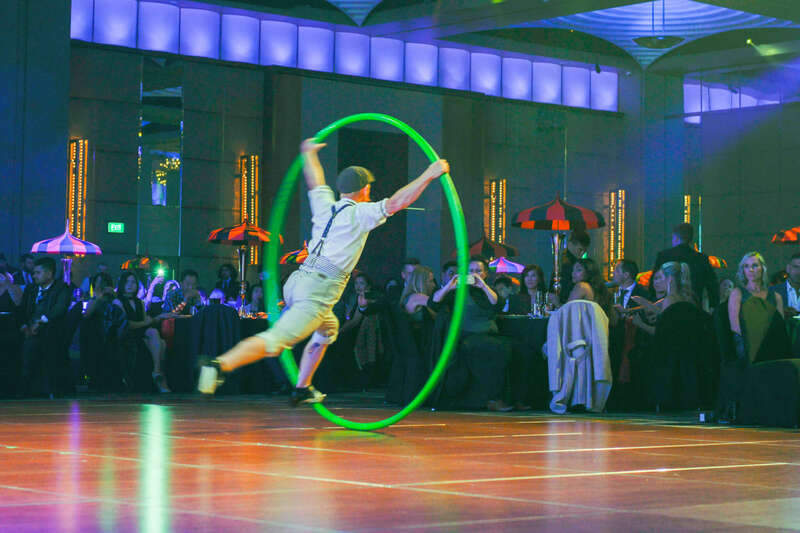 On the back of the smash hit movie “ The Greatest Showman,” which explores the life of P.T Barnum, the original ring master and show business entrepreneur, the vintage circus event theme is totally “hip” right now in Australian corporate events. 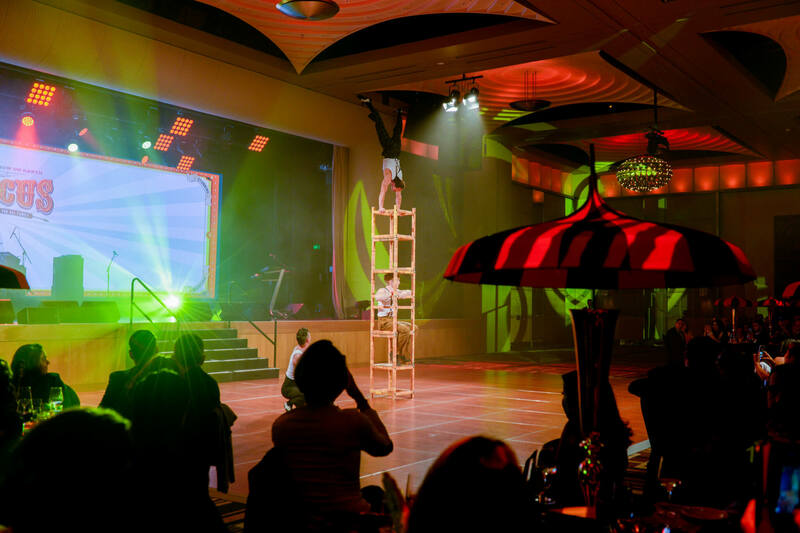 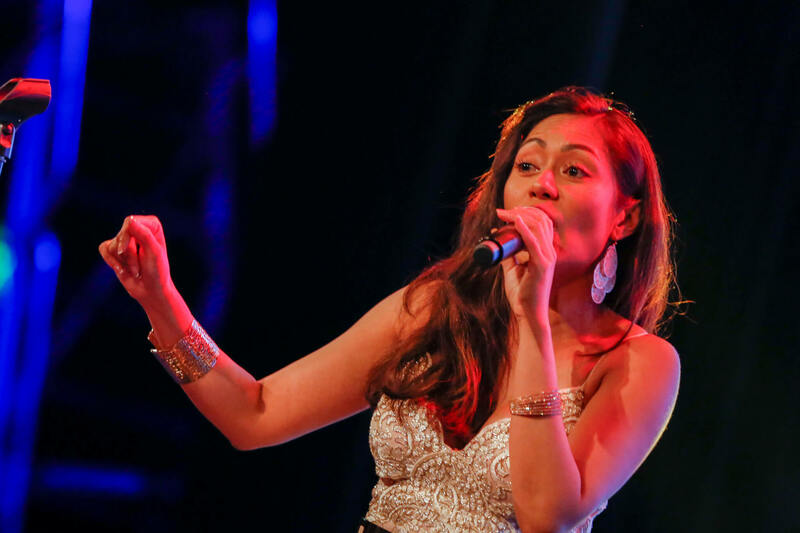 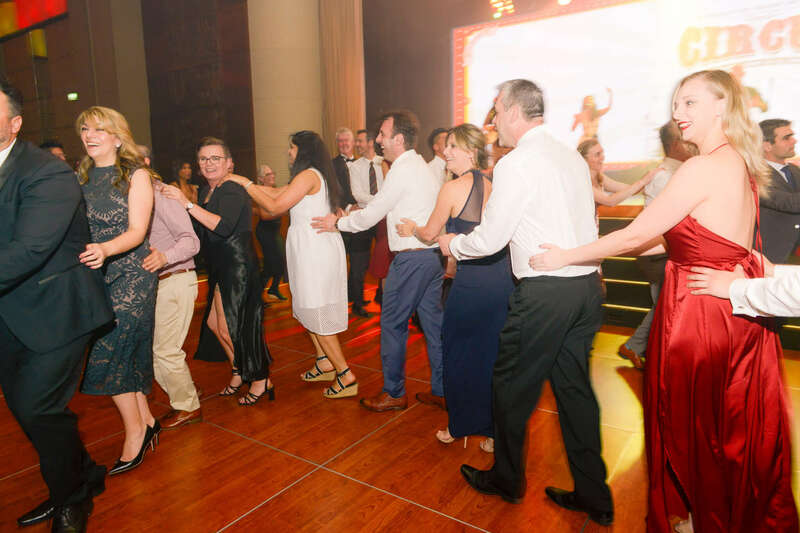 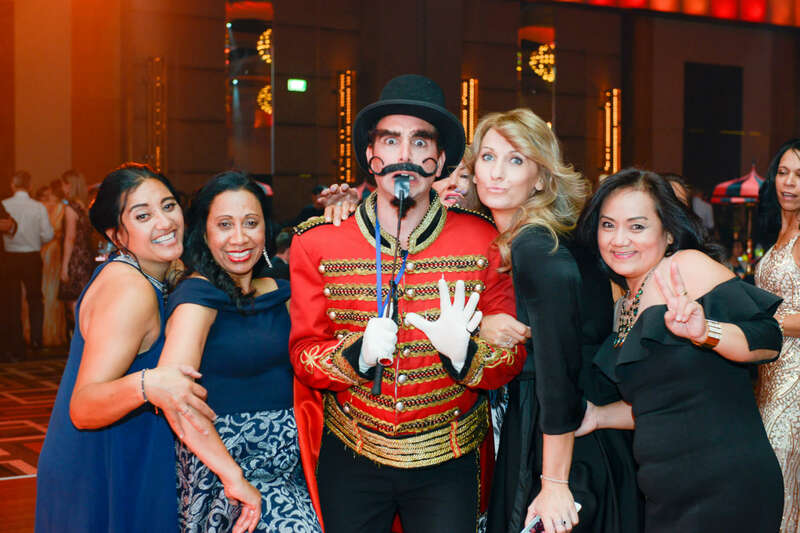 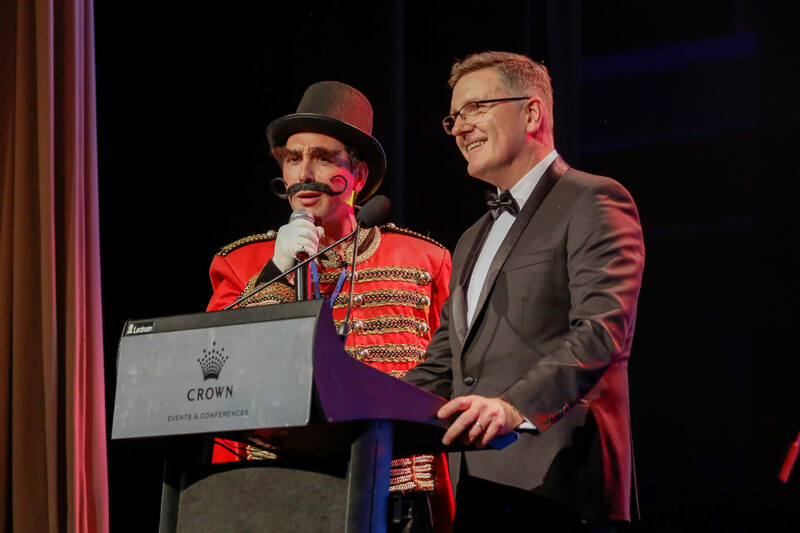 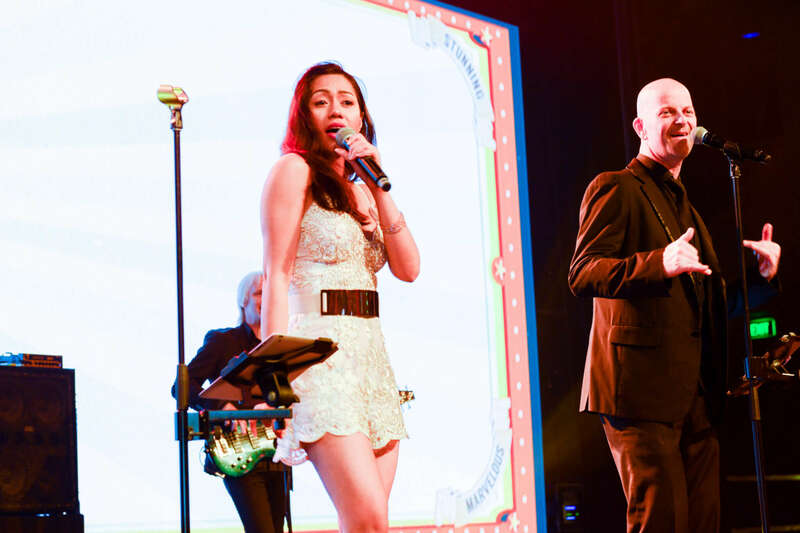 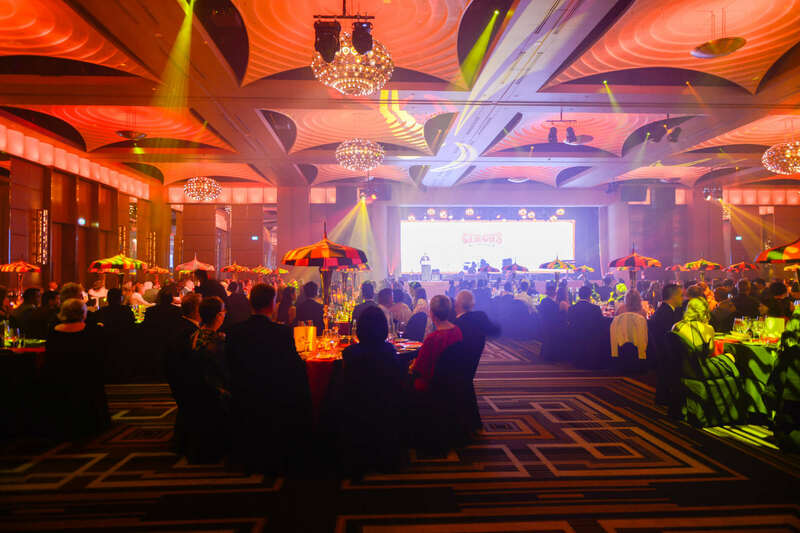 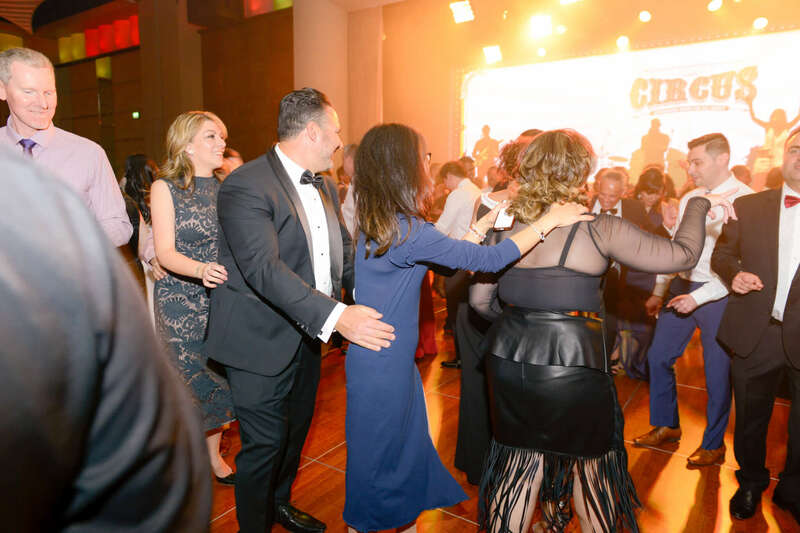 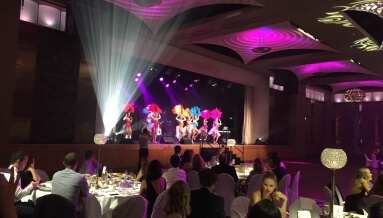 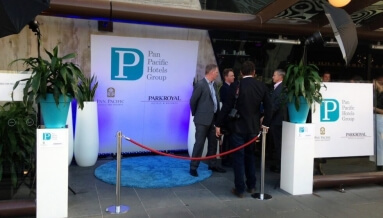 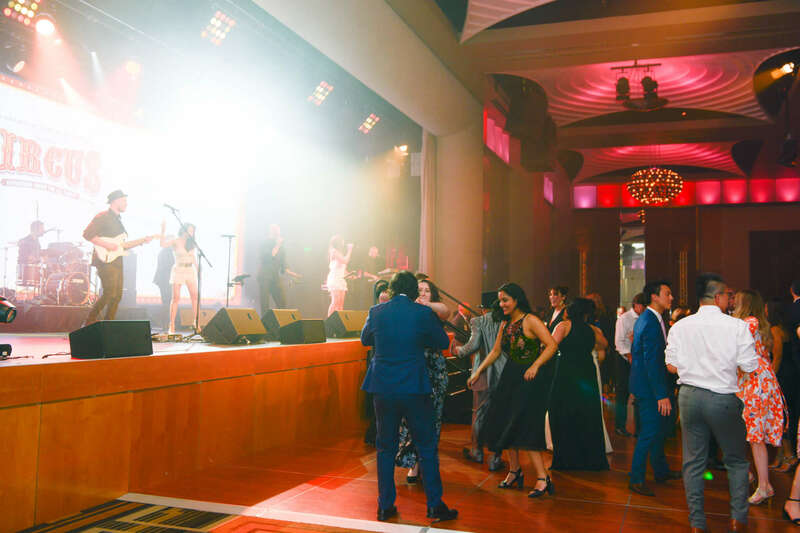 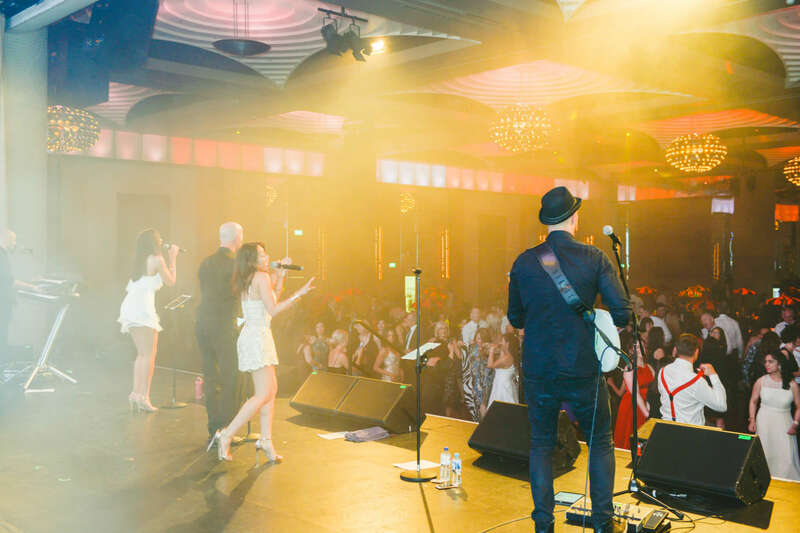 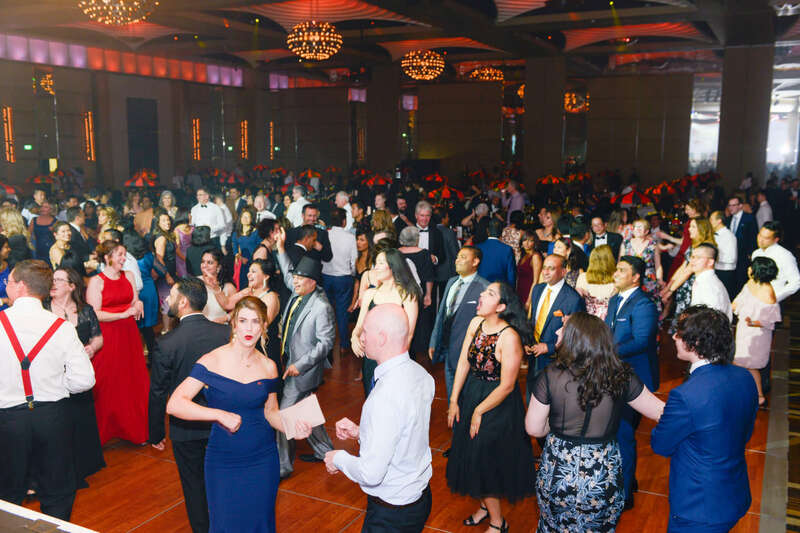 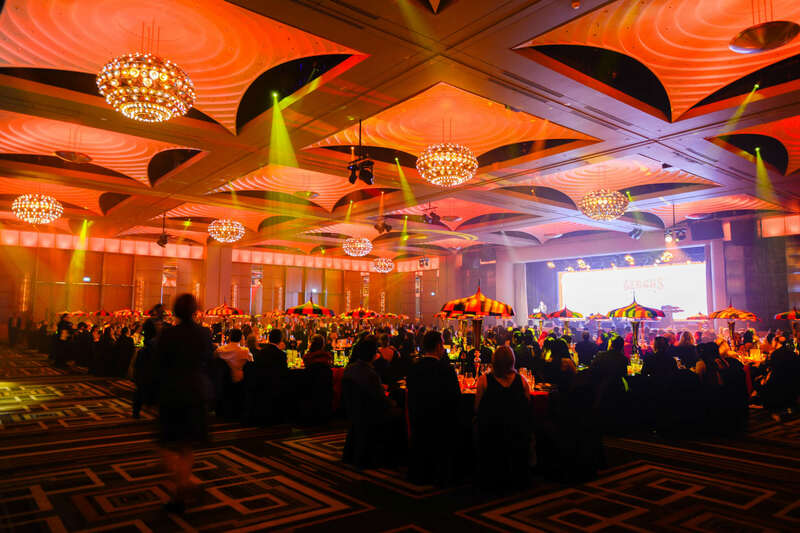 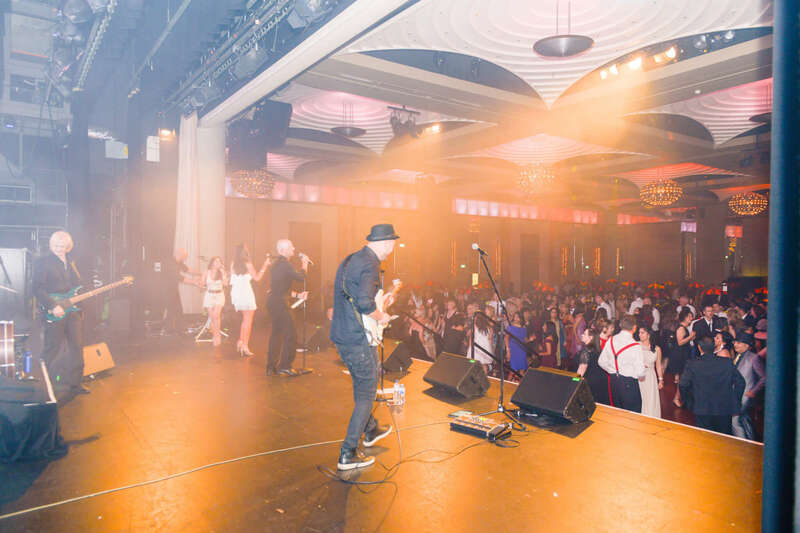 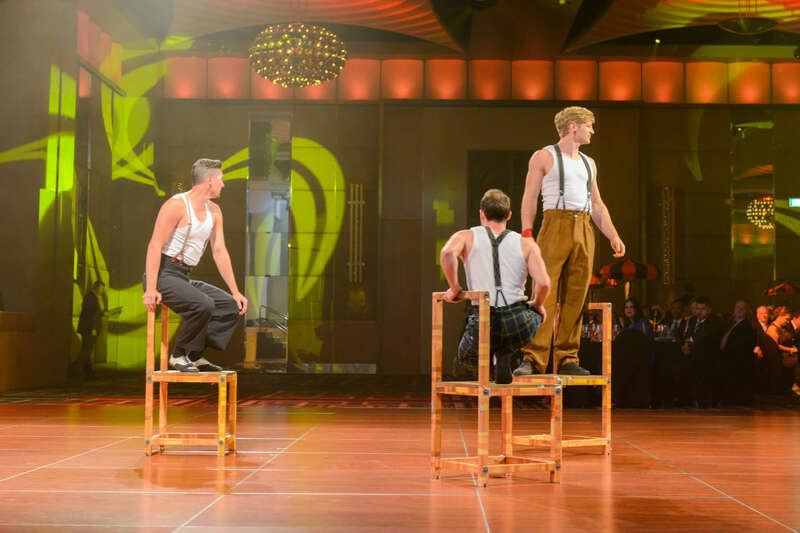 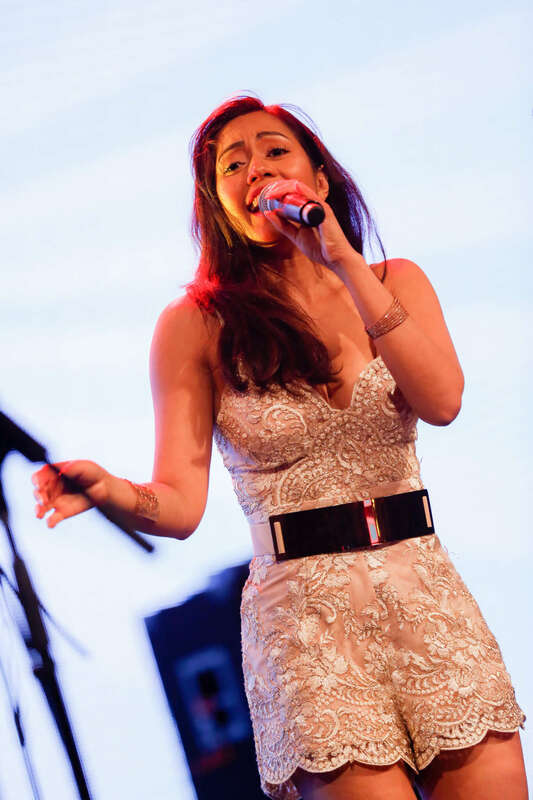 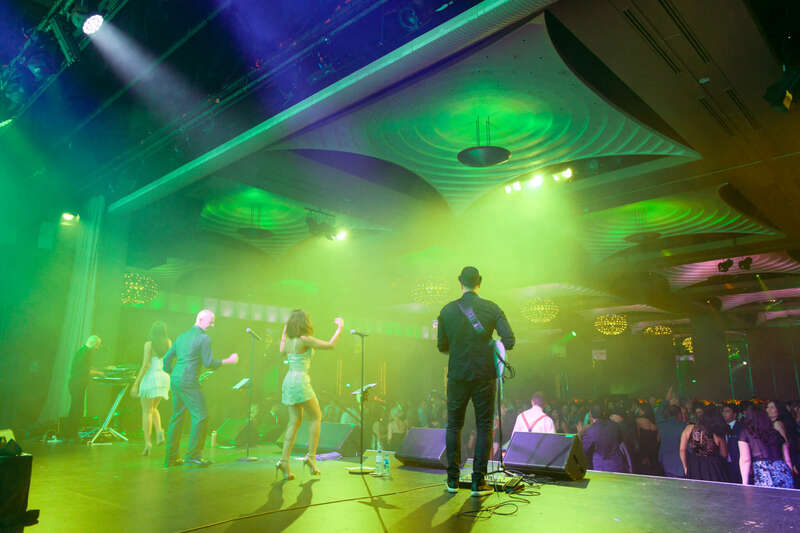 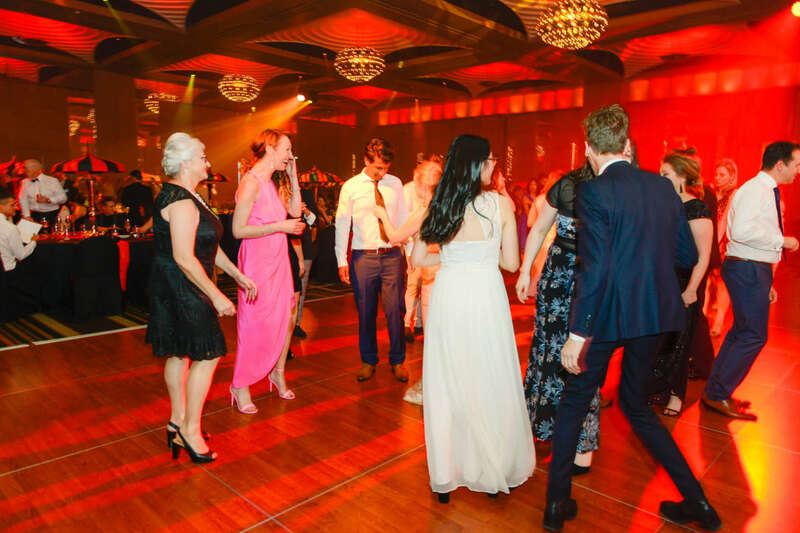 Instinct was recently engaged to help a client create their end of year event in Crown Palladium. 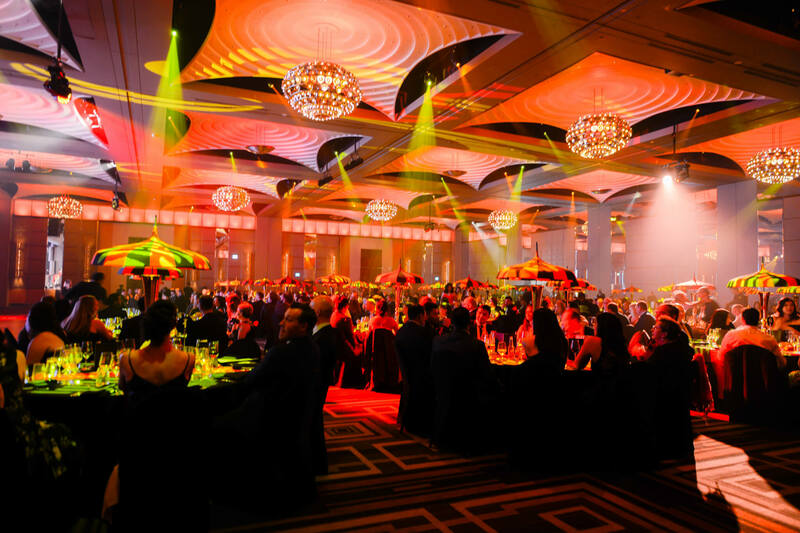 Being a sit down dinner for 530 guests, the theme needed to over deliver based on past year’s events. 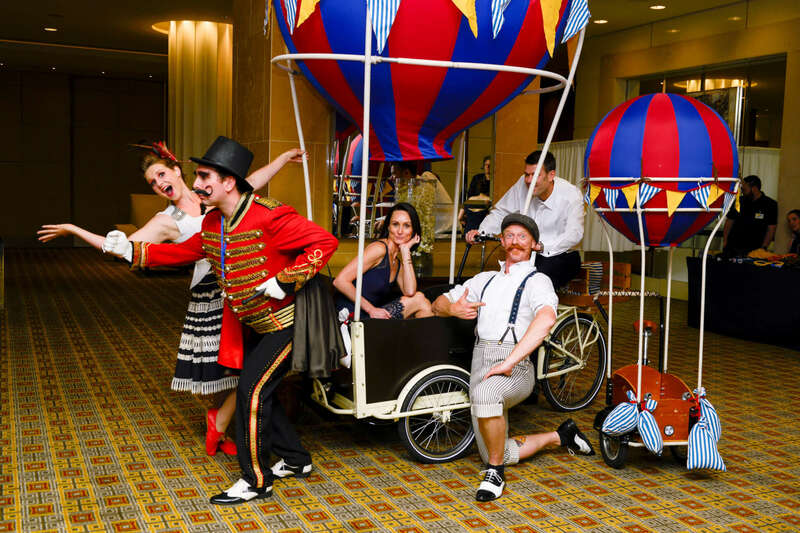 The Vintage Circus theme was selected and we reveled in the chance to blow them away! 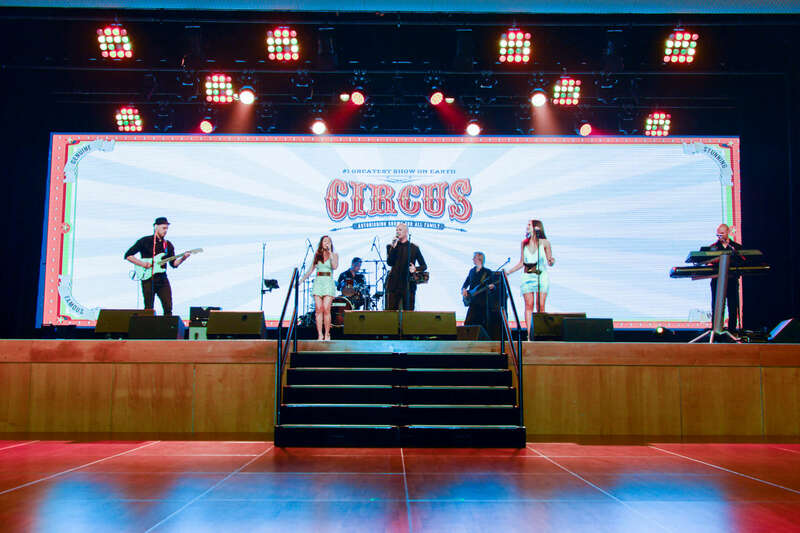 From the onset and with clear budgetary limits, we went about establishing the theme both in the pre-function area and in the main room through styling and design, as well as ensuring the circus entertainment was evident at all times. 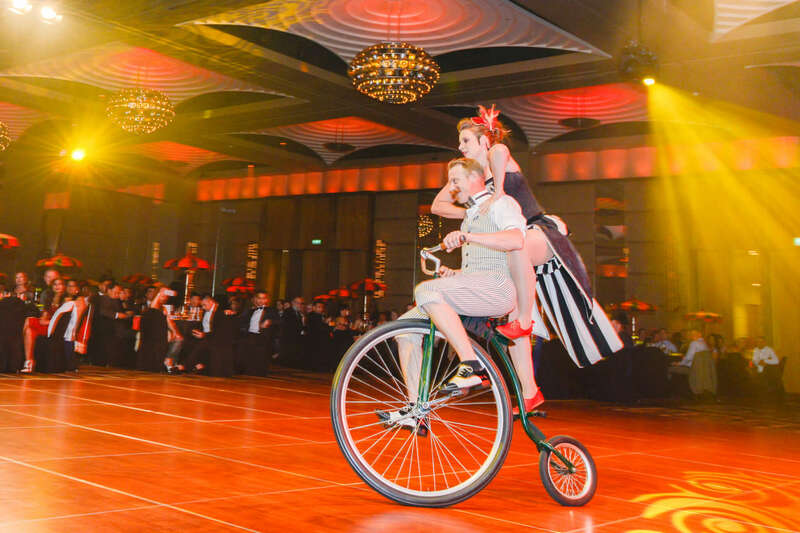 Given the current enthusiasm for this theme, the vintage circus theme makes for an ideal Christmas party or end of year event. 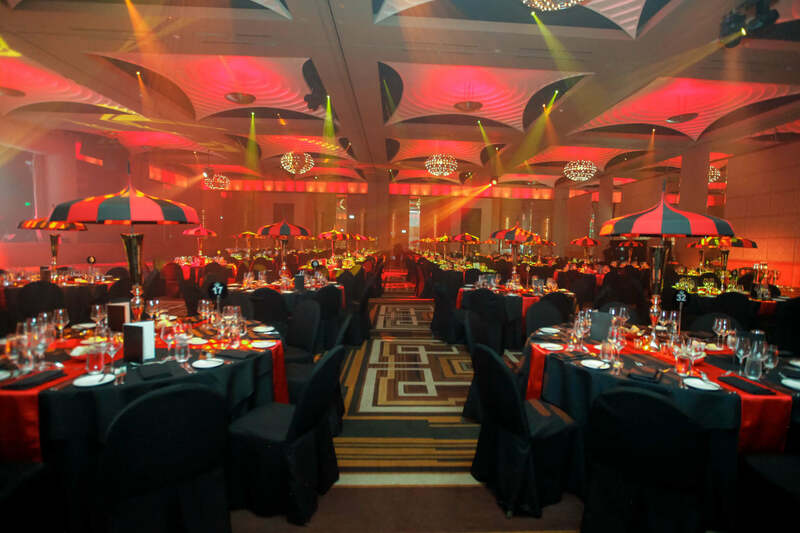 Given a tight budget most event styling investment went into table styling & centerpieces for this event. 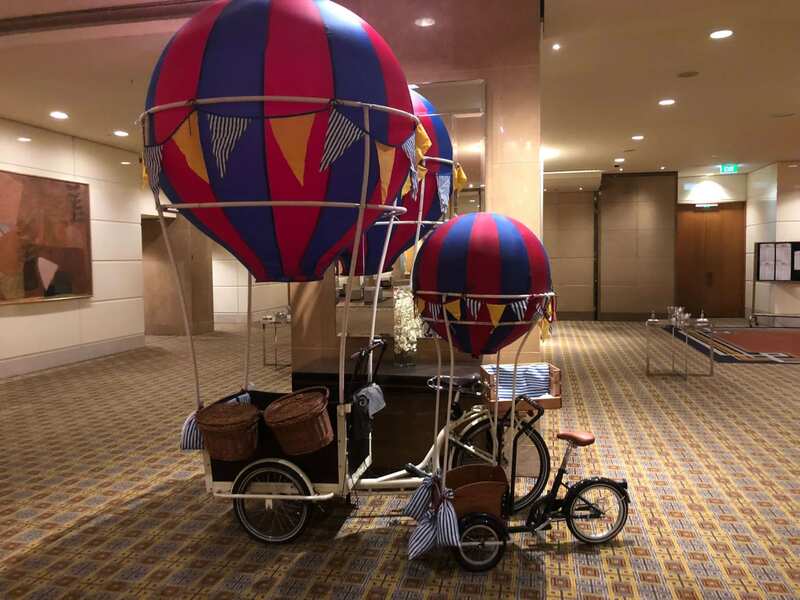 However the foyer was well adorned with a media wall, red carpet and even vintage pushbike attached to a “hot air balloon”. 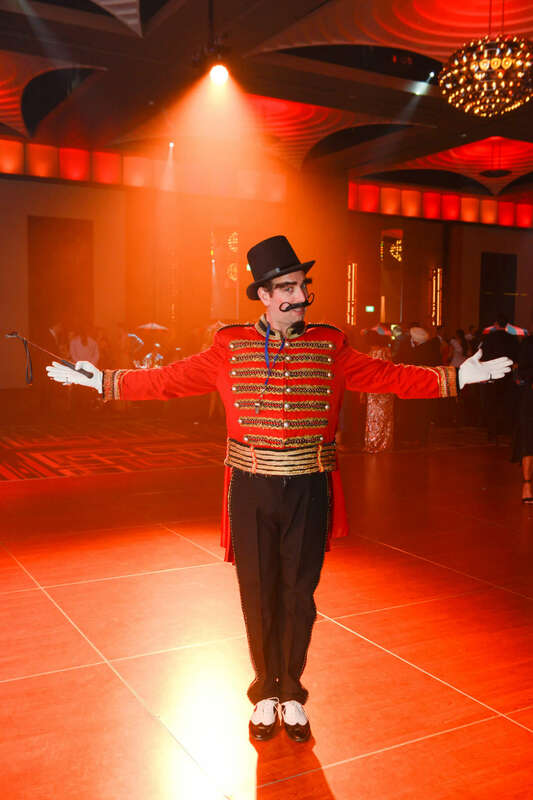 This created a great setting for the Ringmaster, clowns, magician to “meet & greet” the guests on arrival. 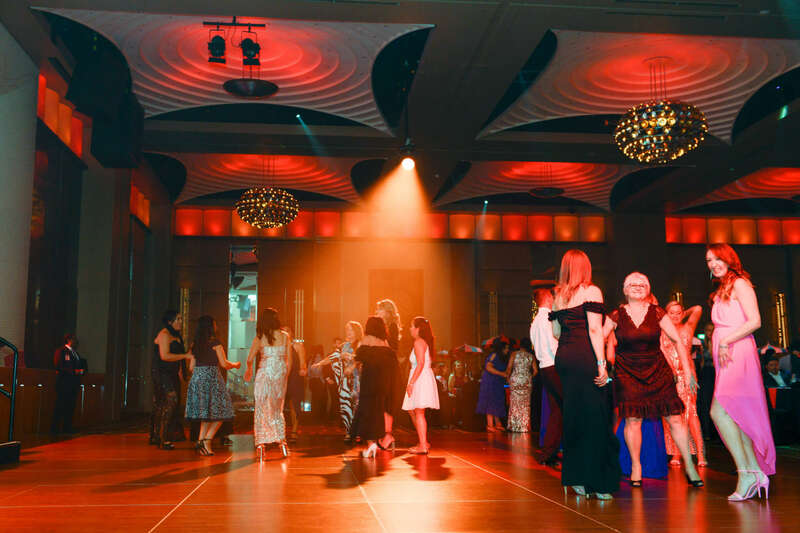 Want to know more about Styling & Centerpieces? 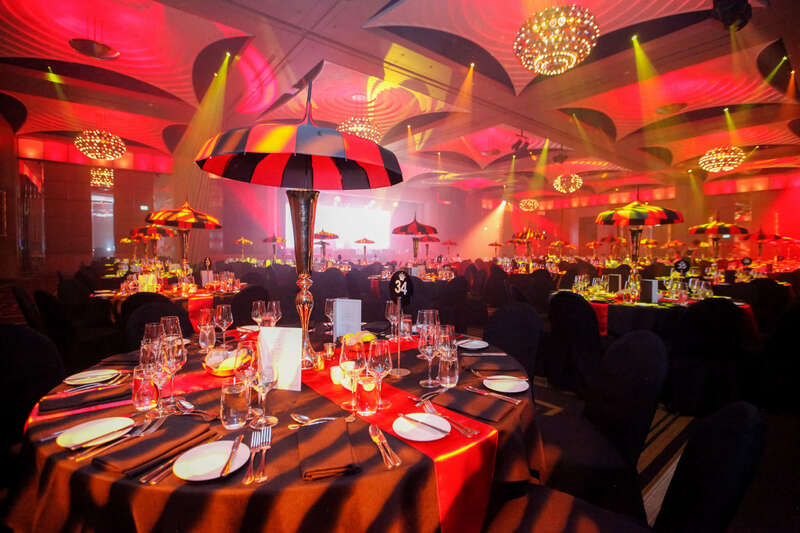 One of the strongest “looks” for the year, this event saw the table centre pieces with the “striped umbrella look”. 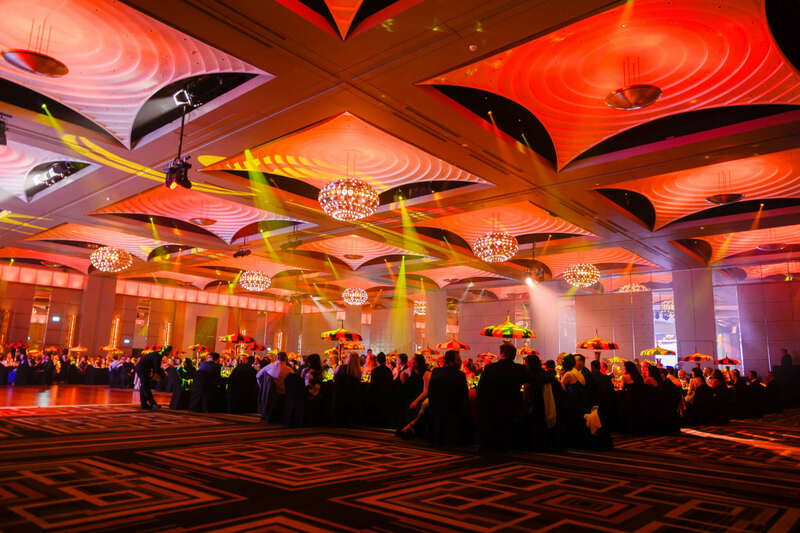 Whilst hard to describe, the results speak for themselves, creating a breath taking reveal moment of guests on doors opening. 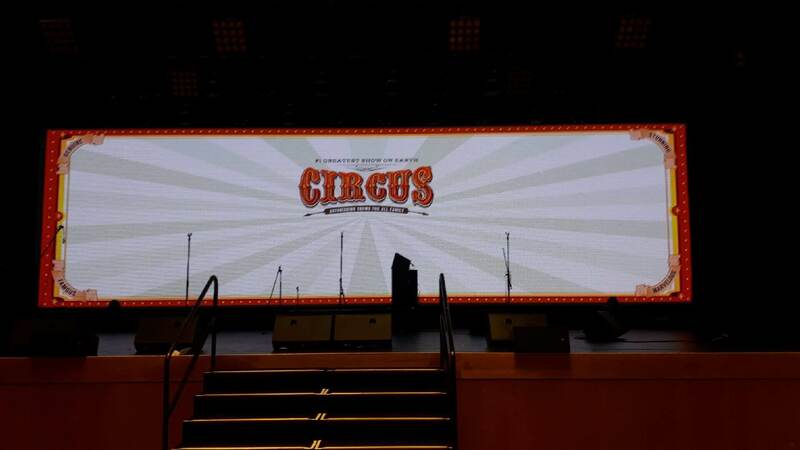 The stripes were also mirrored on the media wall and Big screen artwork, were also reminiscent of the classically stripped vintage “Big Top”. 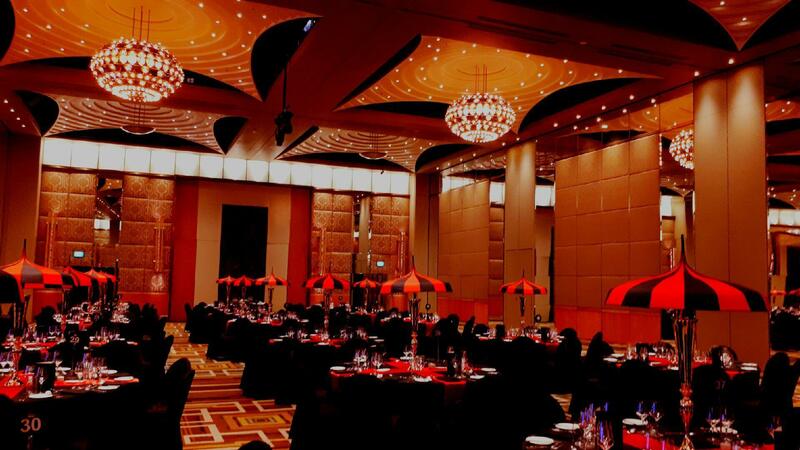 The canopies of the umbrellas created a fantastic surface for ambient room lighting to reflect off. 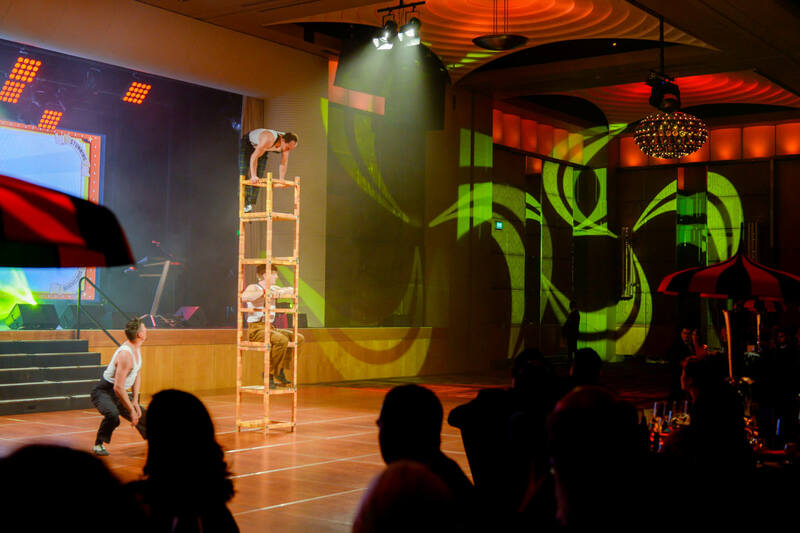 The end result was a visual impact that was simply magic. 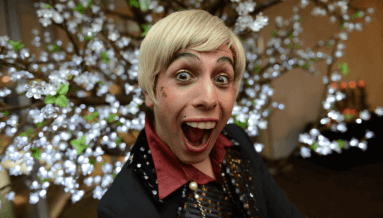 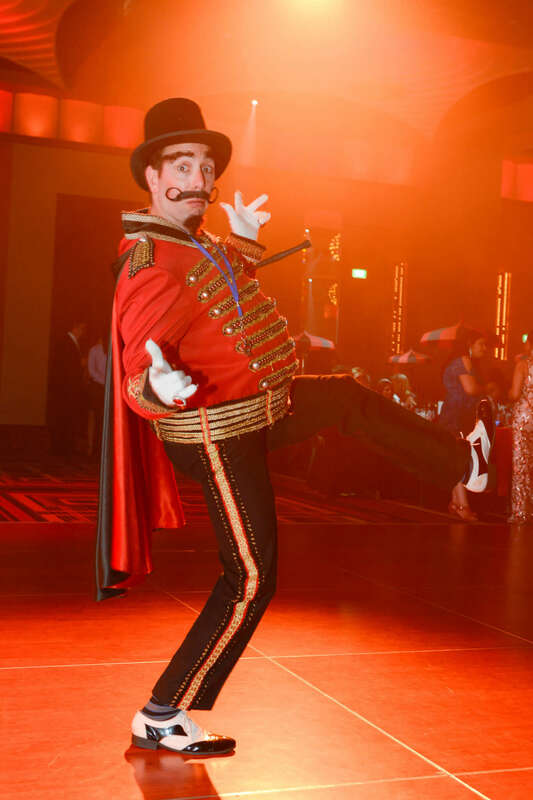 Being the circus to the people, guests were greeted at the top of the escalator by the host for the Evening, Ringmaster Zigler! 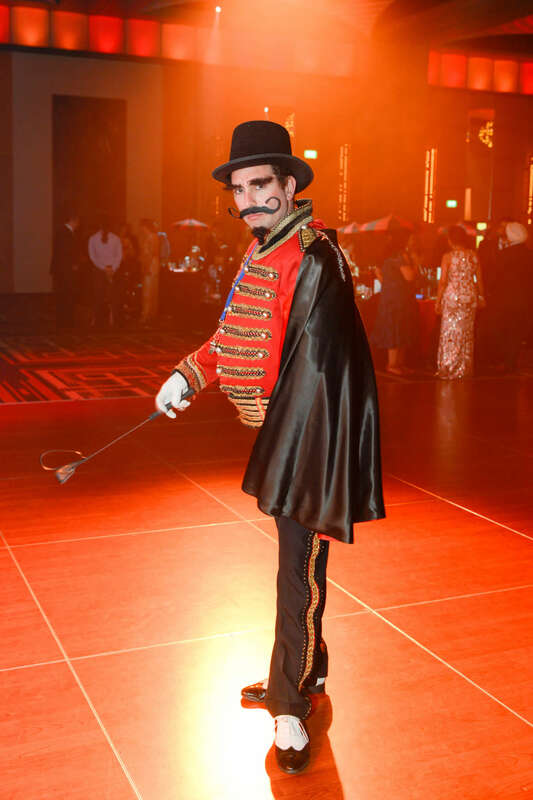 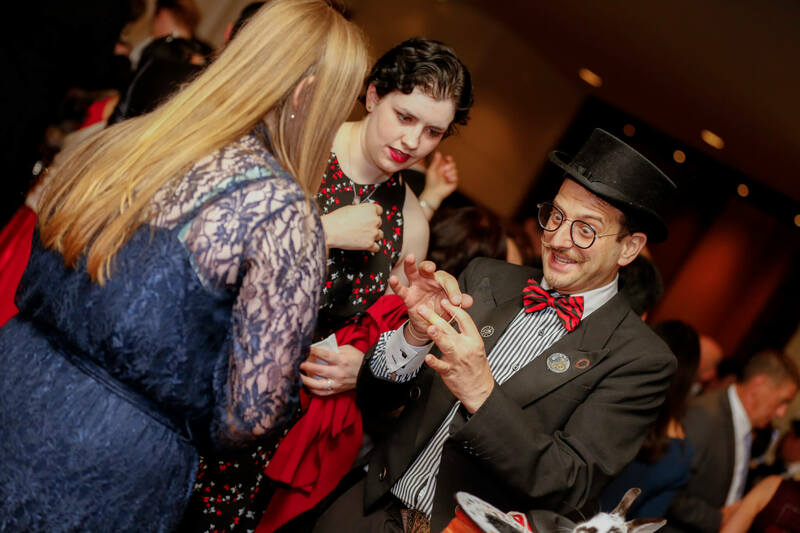 Accompanied by vintage clowns and of course the vintage styled magician, guests embraced theme, soaking up the attention on the red carpet, with vintage circus media wall and accompanying styling. 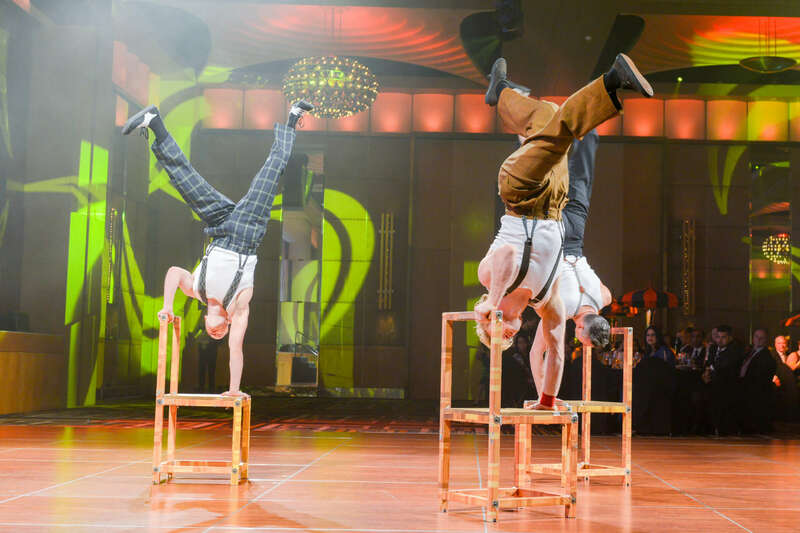 Once in the main room the entertainment really kicked up a notch with an inspiring performance of balance, and skill. 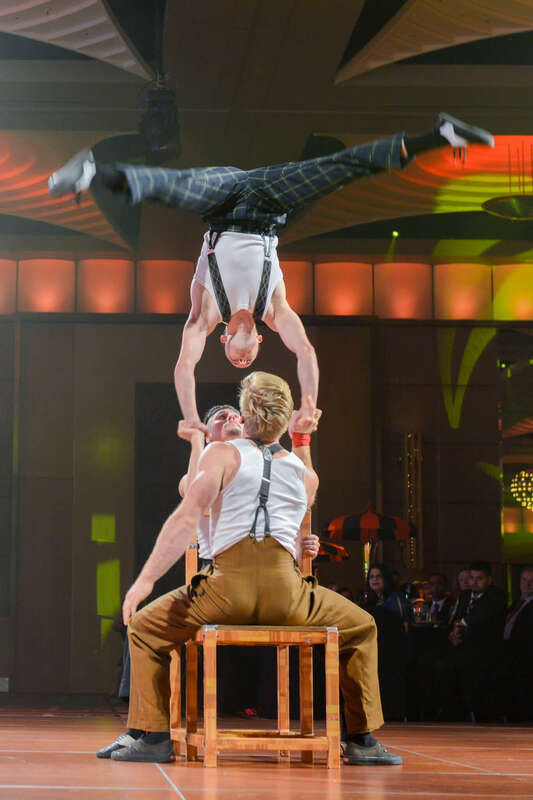 “Chairs” ensured guests were on the edge of their seat! 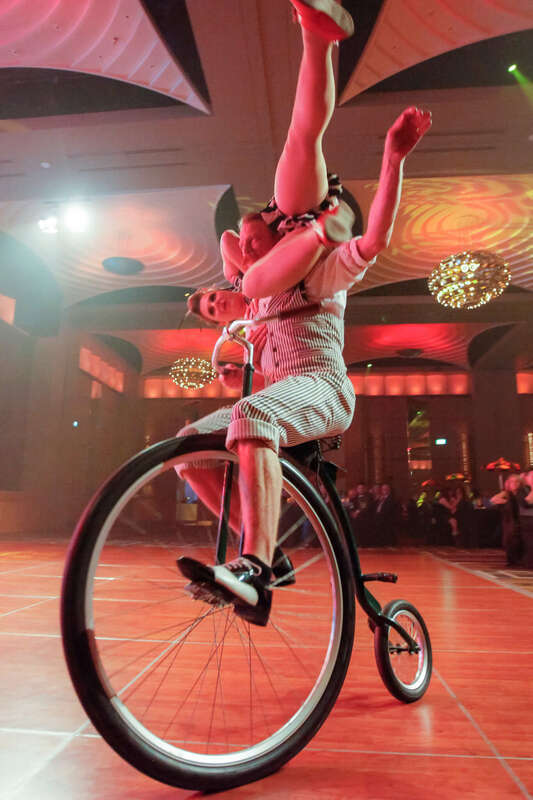 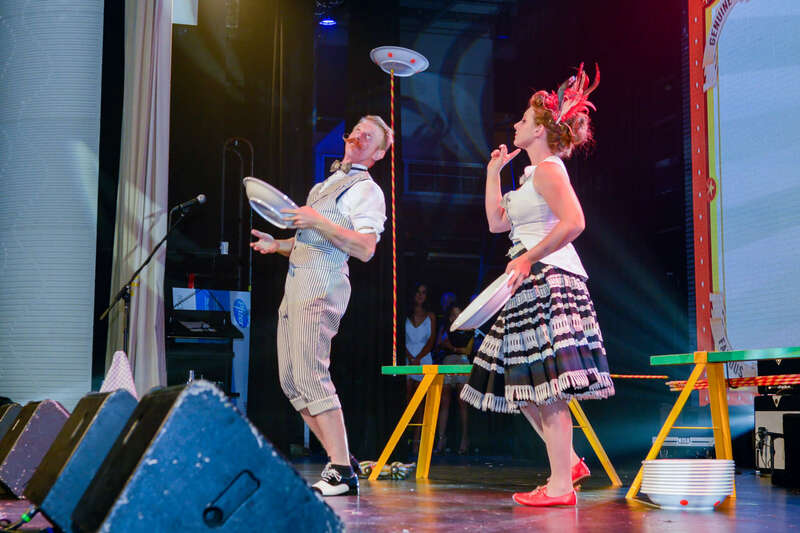 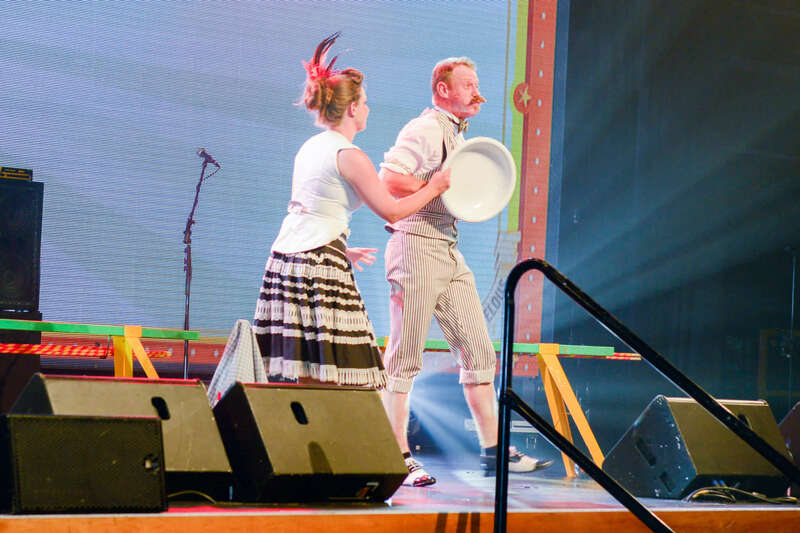 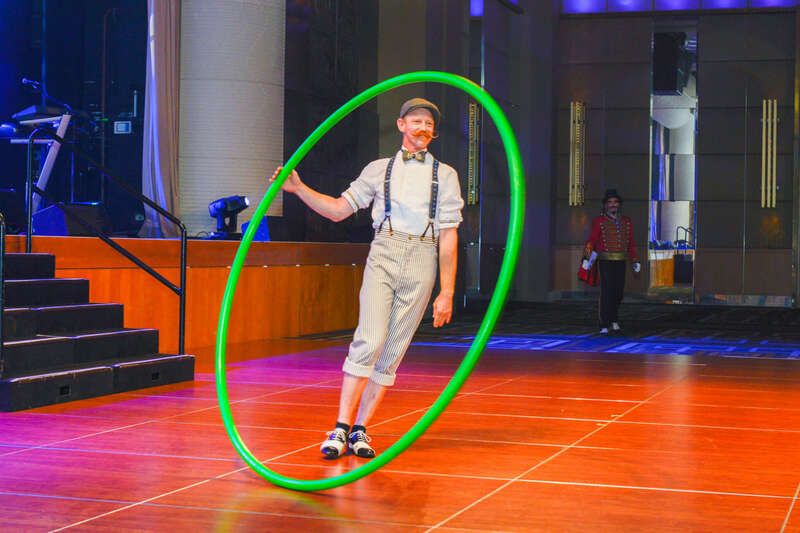 Performances by George & Lil filled top and tailed food service including the classic period “Penny Farthing Performance”, “Cyr wheel” and vintage juggling shows. 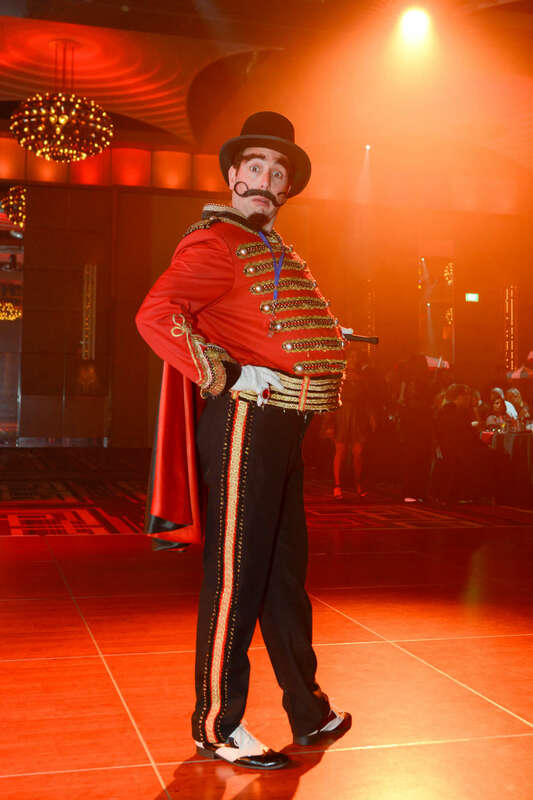 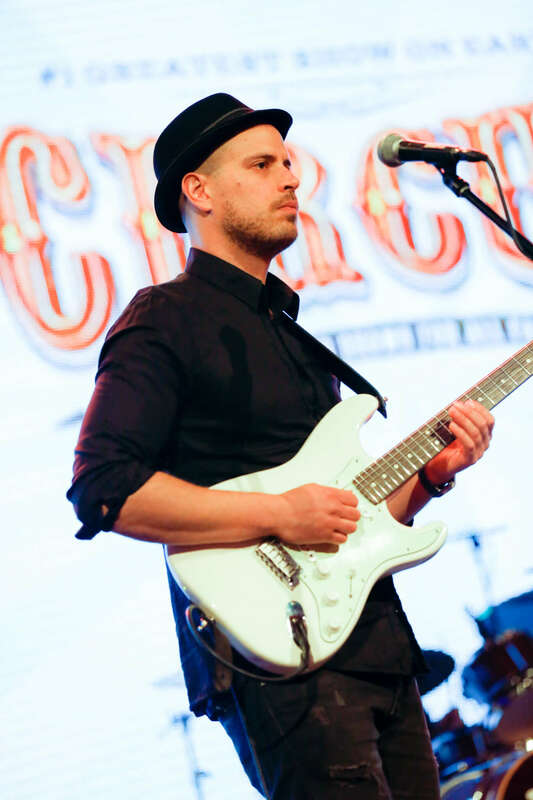 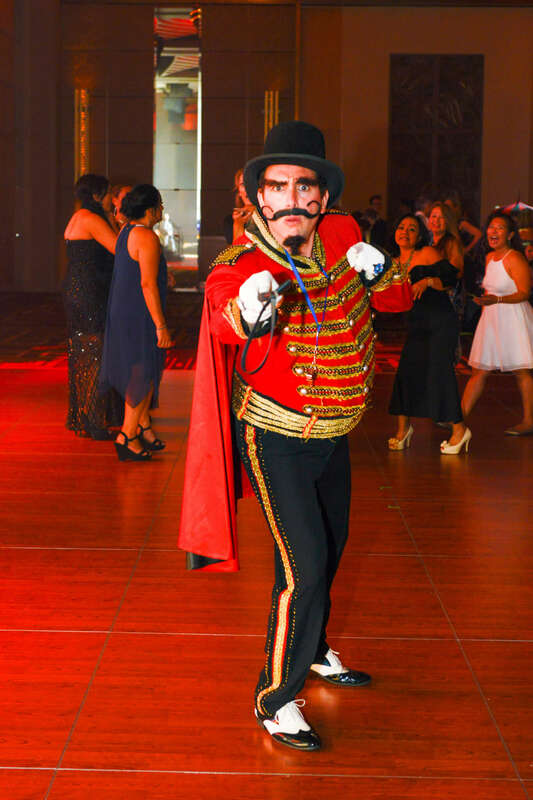 The ringmaster then handed the reins to the best cover band going in Australia, Chunky Jam who ensured guests spent the rest of the night on their feet, up and dancing. 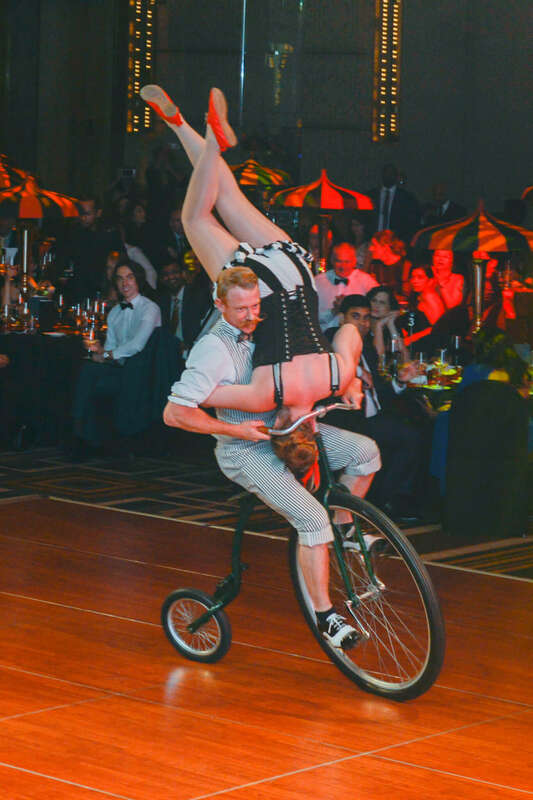 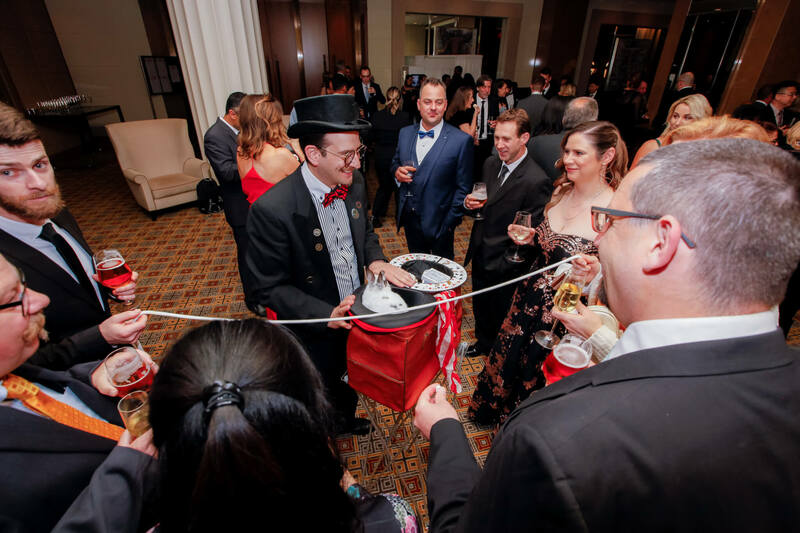 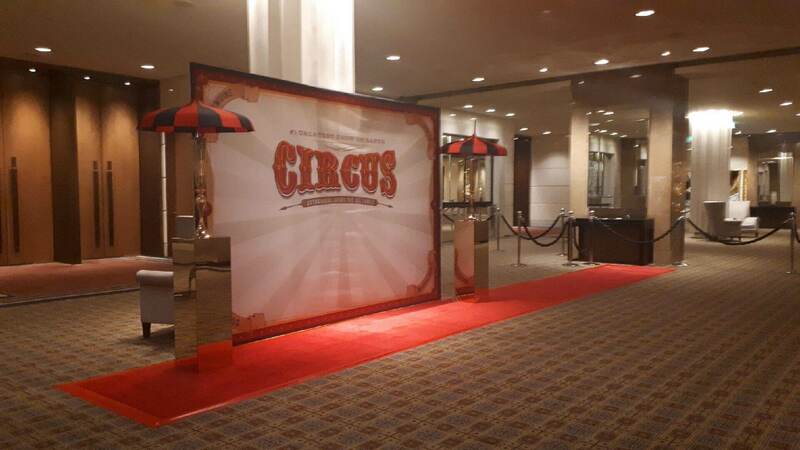 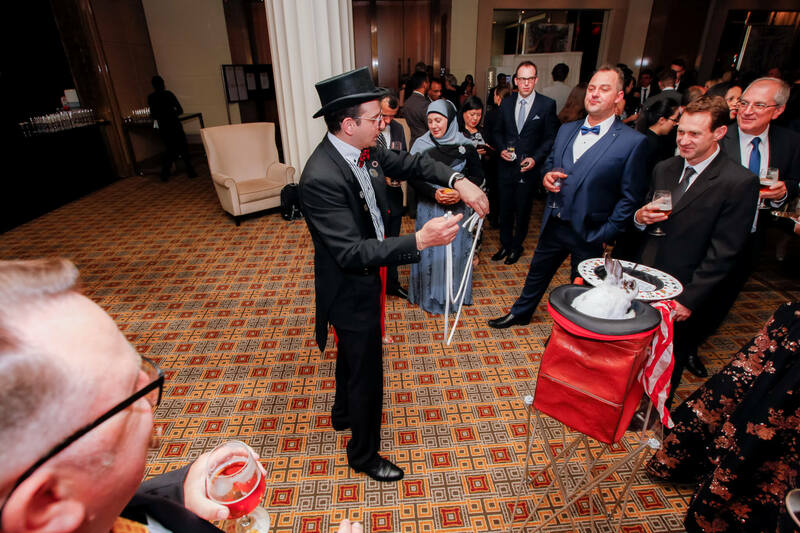 Yet another outstanding event package, and the Vintage Circus theme over delivered for both client and guests alike. 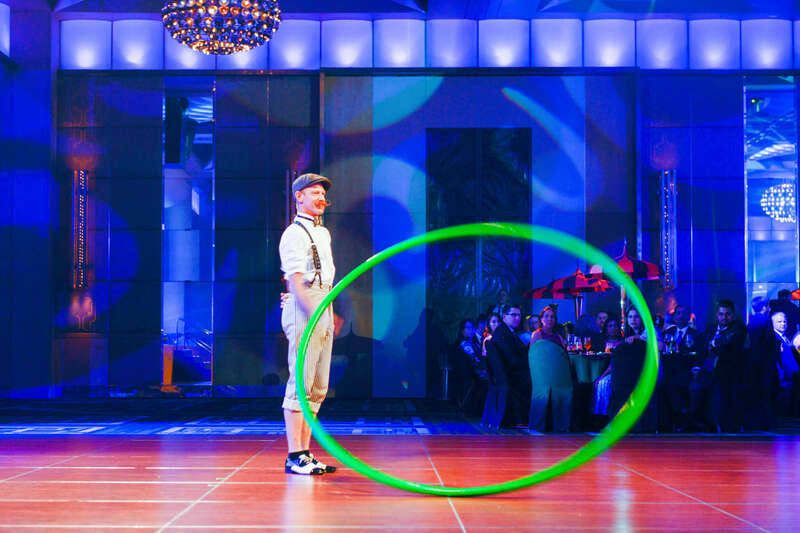 Can you be trusted to plan a surprise birthday?